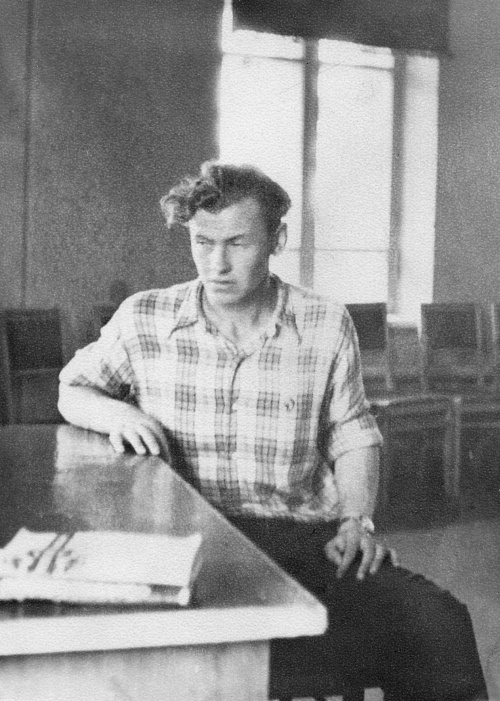 It had been agreed beforehand that Dyatlov would send a telegram to UPI sports club as soon as the group returns to Vizhay. 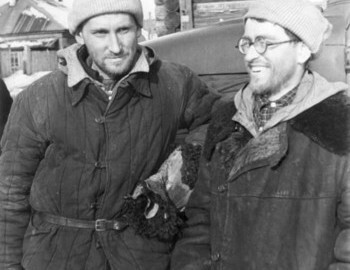 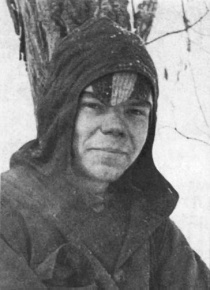 It was expected that this would happen no later than February 12, but Dyatlov had told Yudin that he expected to be longer, and so when date passed and no message had been received there was no immediate reaction - delays of few days were common in such expeditions. 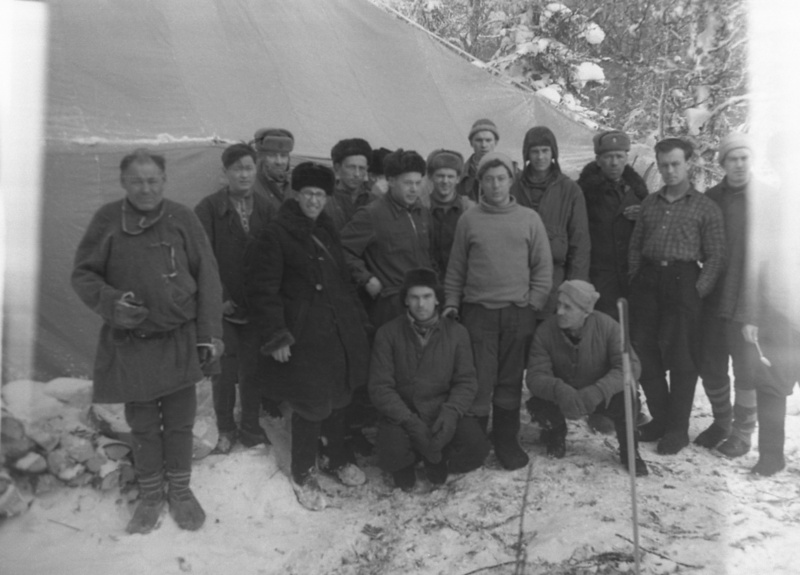 The relatives of the missing hikers demanded a rescue operation and only then did the head of the institute send on February 20 the first rescue groups consisting of volunteer students and teachers. 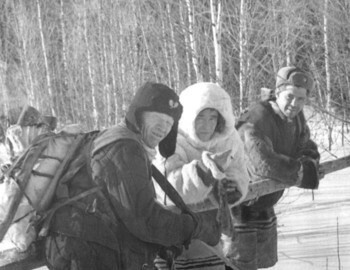 Later, the army and police forces became involved, with planes and helicopters being ordered to join the rescue operation. 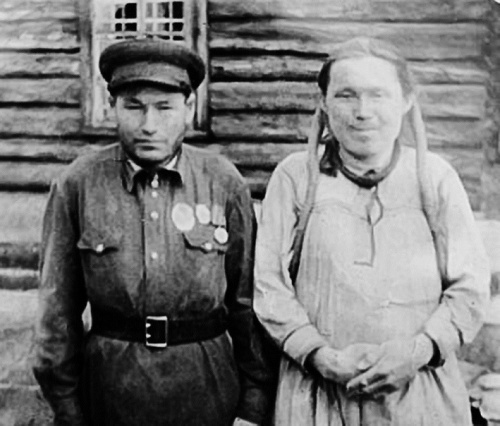 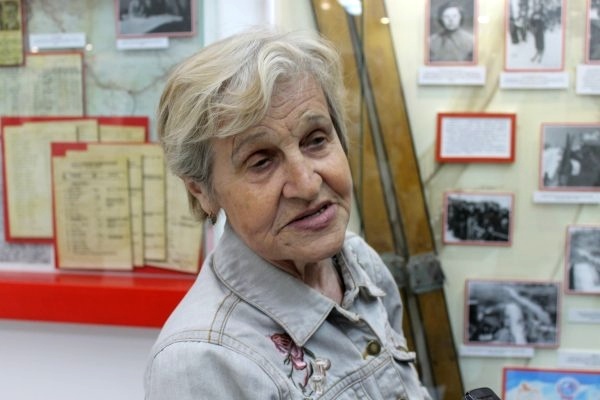 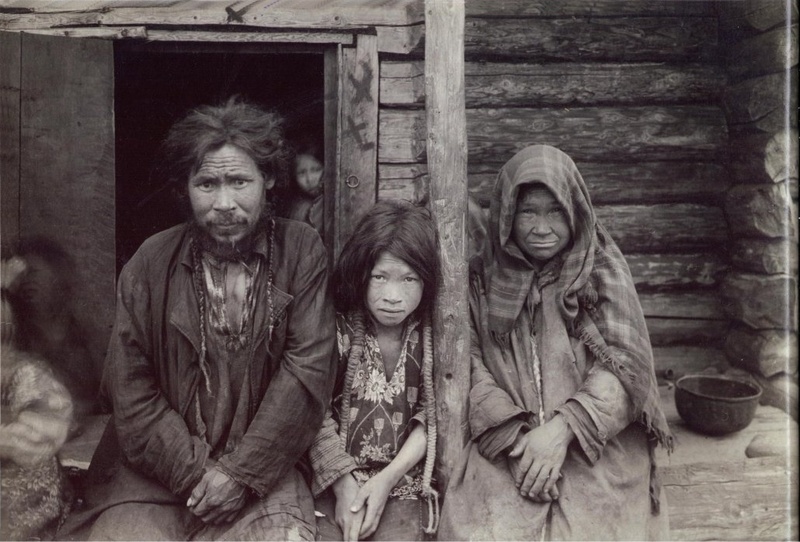 The first person to become bothered by the delay of the hikers return was Kolevatov’s eldest sister Rimma Sergeevna Kolevatova. 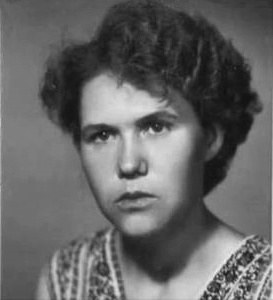 She started asking questions, urging authorities to start a rescue operation, and on February 26 she sent a telegram to Nikita Khrushchev. 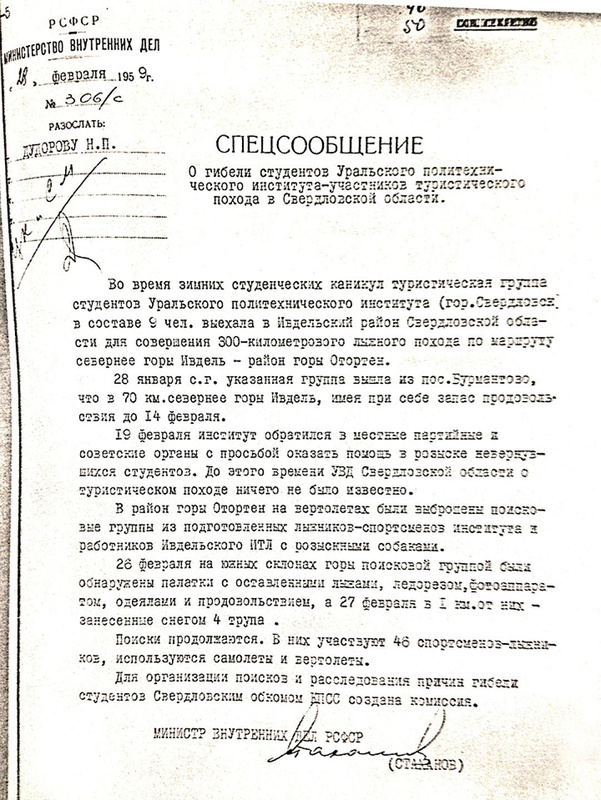 The telegram was shown in Kremlin on February 27. 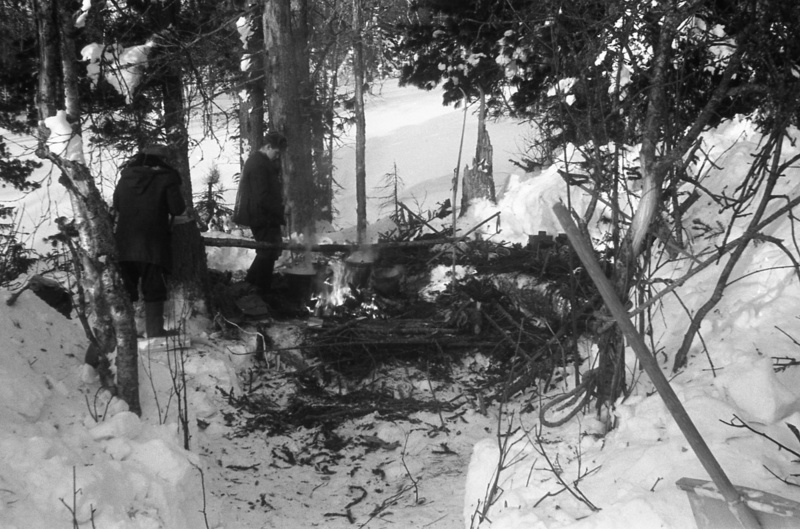 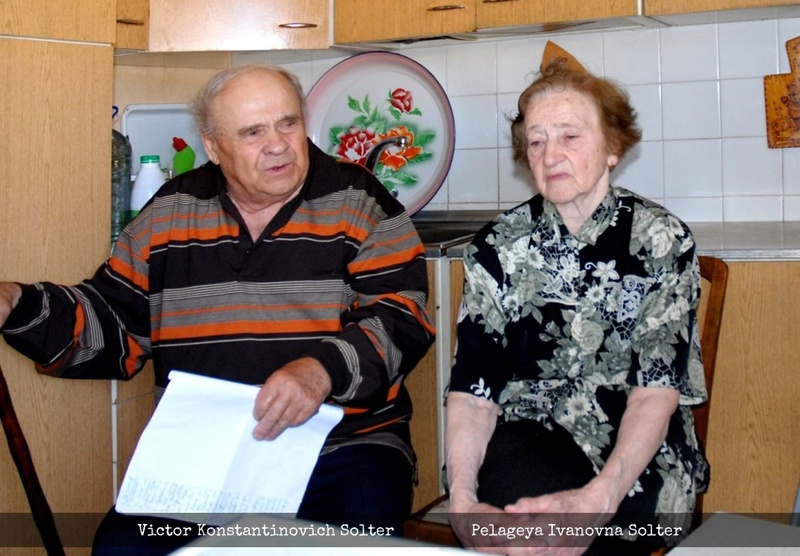 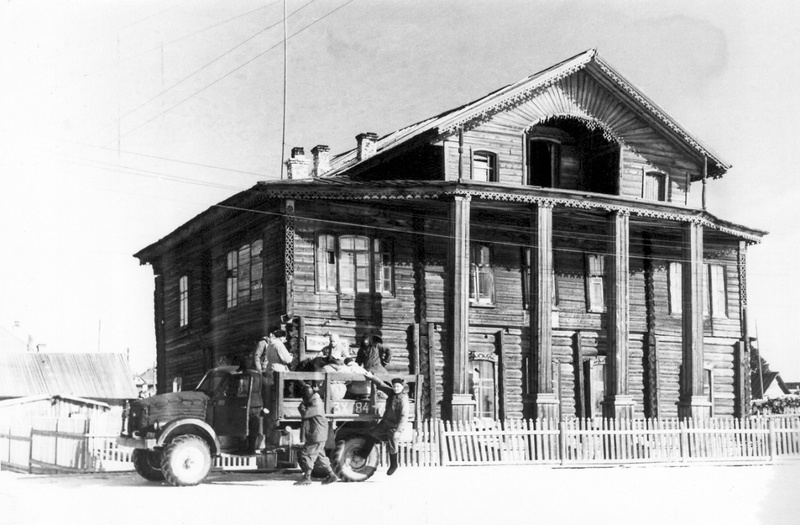 Rimma Kolevatova's testimony published below clearly shows her knowledge that a telegram from the hikers sent from Vizhay was expected on February 12 with a notice about their arrival in Sverdlovsk. 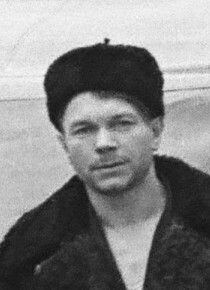 Kolevatov's sister, in her despair, made up and earlier date of the group’s expected return date to make the facts more ominous. 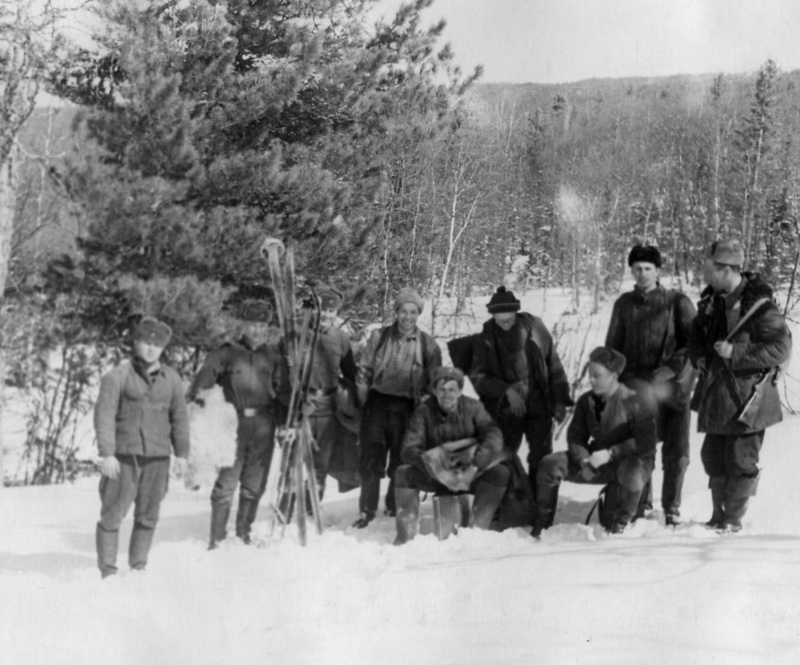 This telegram may have escalated the search and rescue operation to the highest circles. Special report dated February 28 addressed to the Minister of Internal Affairs of the USSR signed by the Minister of the Interior of the RSFSR is published below. 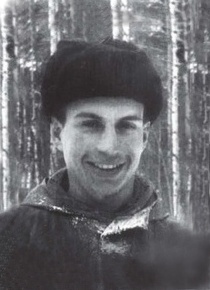 "Dear Nikita Sergeevich By the scheduled date on February 9, a group of hikers from the Polytechnic Institute of Sverdlovsk did not return from an expedition in the Northern Urals Search began late only after 10 days had passed Regional organizations have not yet taken effective measures We earnestly request your assistance in the urgent search for our children. 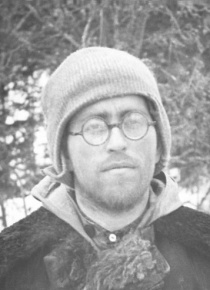 Every hour counts now"
The above fact testifies to the utter indifference and lack of control on behalf of those responsible for organizing the campaign and launching the search groups." 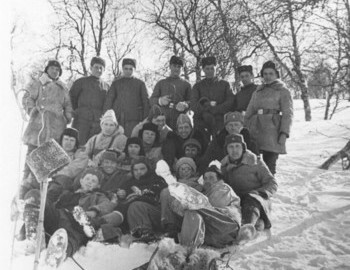 "During the winter break a group of students from the Ural Polytechnic Institute (Sverdlovsk), consisting of nine people, left for the Ivdel District of the Sverdlovsk Region to undertake a 300 km ski trip along the route north of Mt Ivdel – in the area of Mt Otorten. 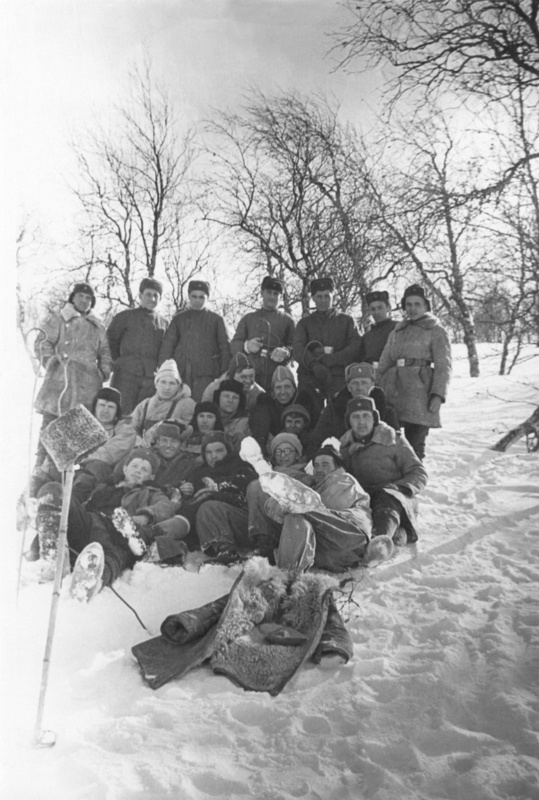 On January 28 the group left from village Burmantovo 70 km north of Mt Ivdel with provisions to last till Fevruary 14. 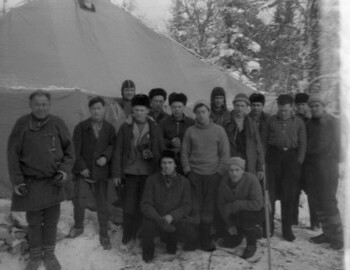 On February 19, the Institute appealed to local party and Soviet authorities asking for help in finding the missing students. 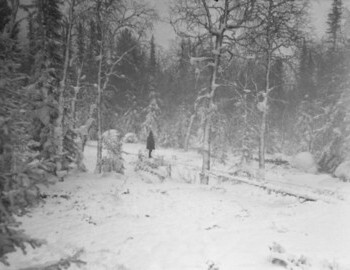 To that point Department of Internal Affairs of Sverdlovsk Region didn’t know anything about the missing hikers. 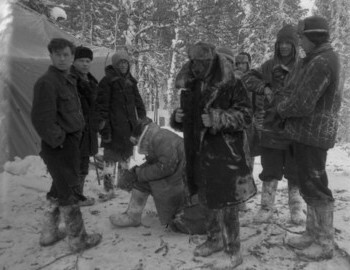 Search groups including trained skiers-athletes from the Institute and workers from the Ivdel Correctional labor camp with search dogs were dropped by helicopters in the area of Mt Otorten. 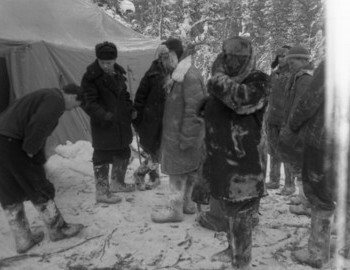 On February 26 on the south face of the mountain rescuers found tents with skis, ice axe, cameras, blankets and provisions, and on February 27, 1 km from away - 4 corpses covered with snow. 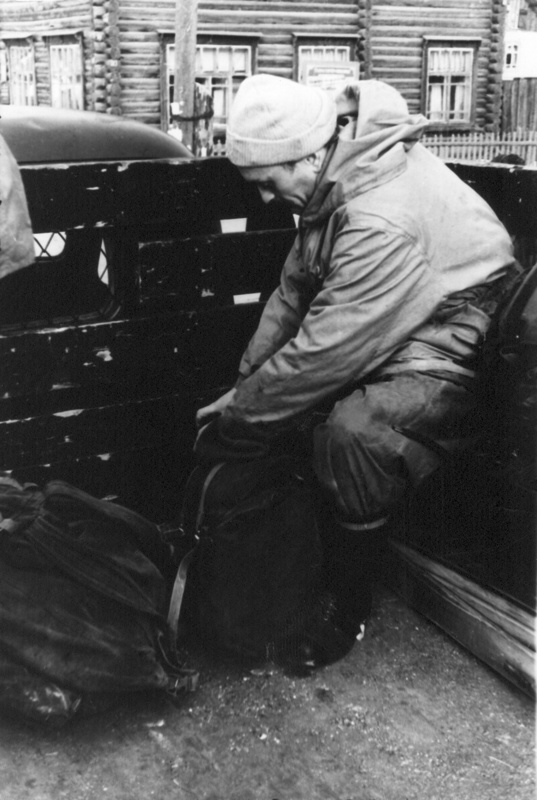 The searches continue. 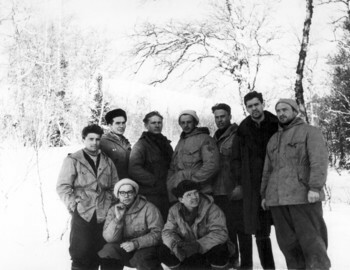 Participants are 46 athletes- skiers, airplanes and helicopters are dispatched to aid in the search. 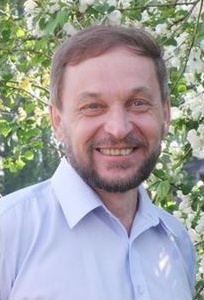 Sverdlovsk Regional Committee of CPSU established a commission to oversee the organization of the search and investigation of the reasons for the deaths of the students." 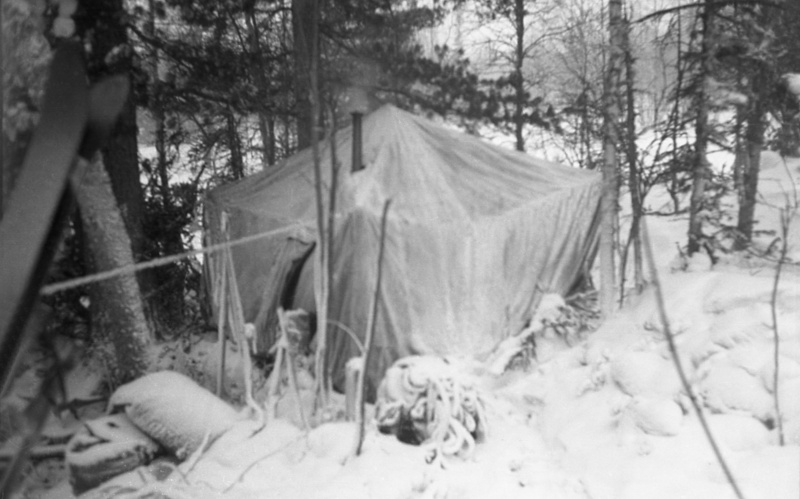 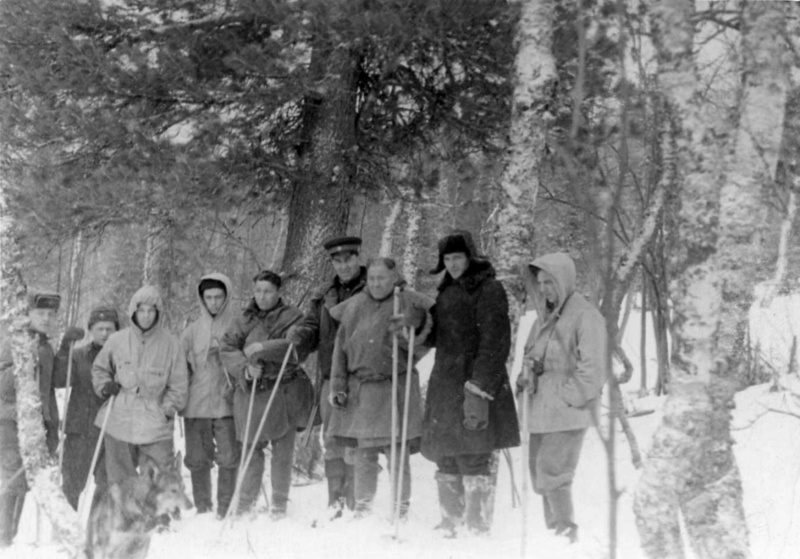 Igor Dyatlov didn’t file all the required documents for the trip, notably the map or the rout. 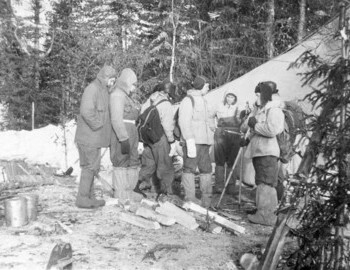 The organization of the rescue expedition became hindered by this fact. 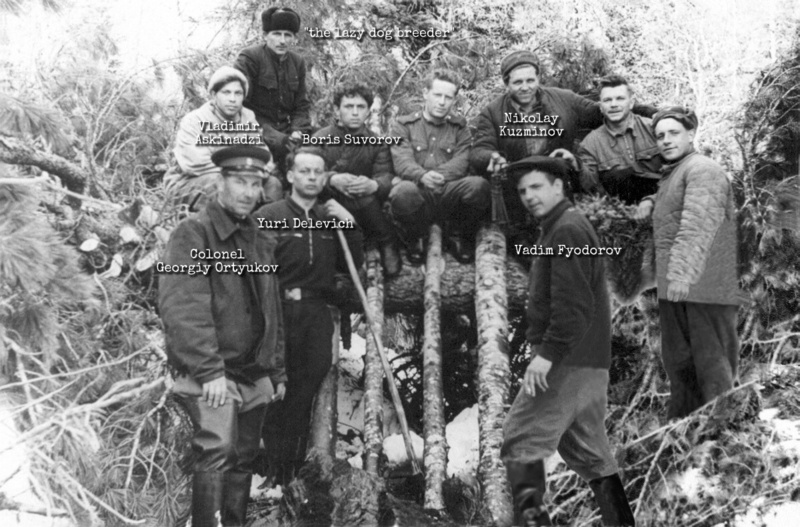 The necessary information began to be feverishly reconstructed from the stories of people who heard about the plans of Dyatlov group. 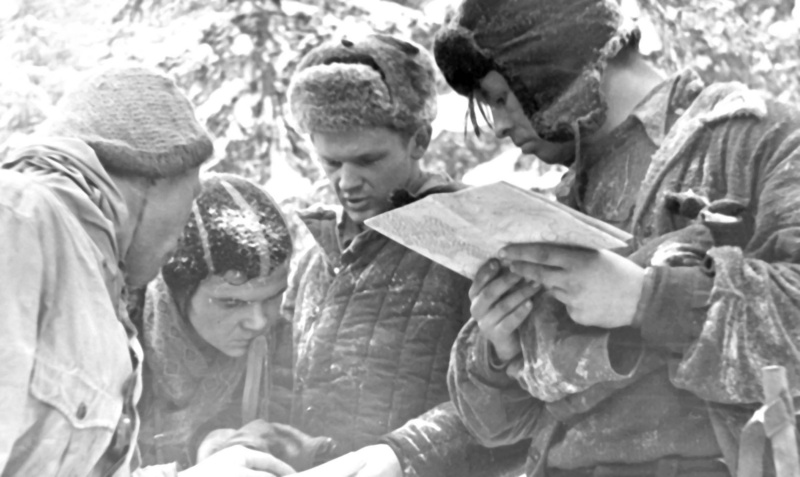 The problem with the missing map was resolved by a member of another Politech sport club - Ignatiy Fokich Ryagin, a friend of the Kolevatov family, who discussed extensively with Aleksander the forthcoming trek in mid-January. 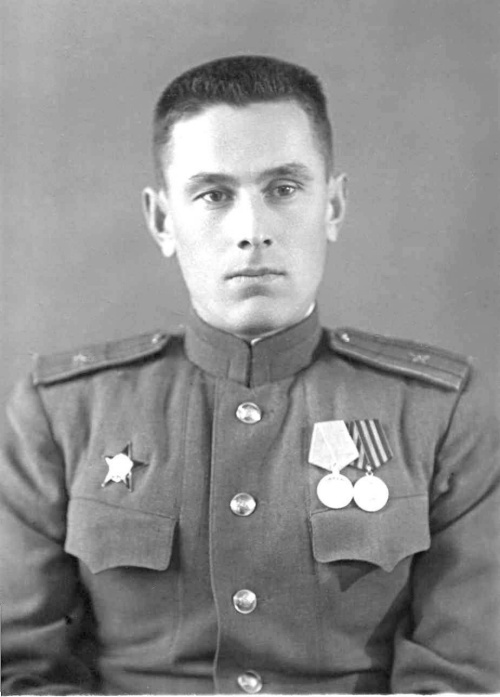 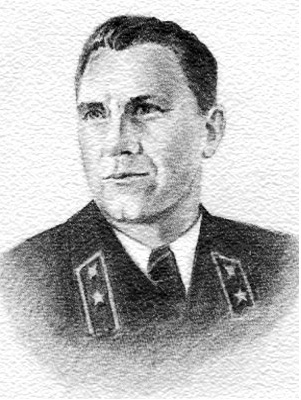 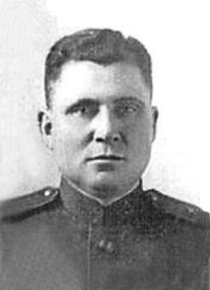 Ryagin recalled the route of the group from memory and on February 19 Rimma handed over the map to Colonel Georgiy Ortyukov, a tactics instructor from the UPI military department, who led the search for the group in those February days, and subsequently put a lot of effort into clarifying the history of the Dyatlov group. 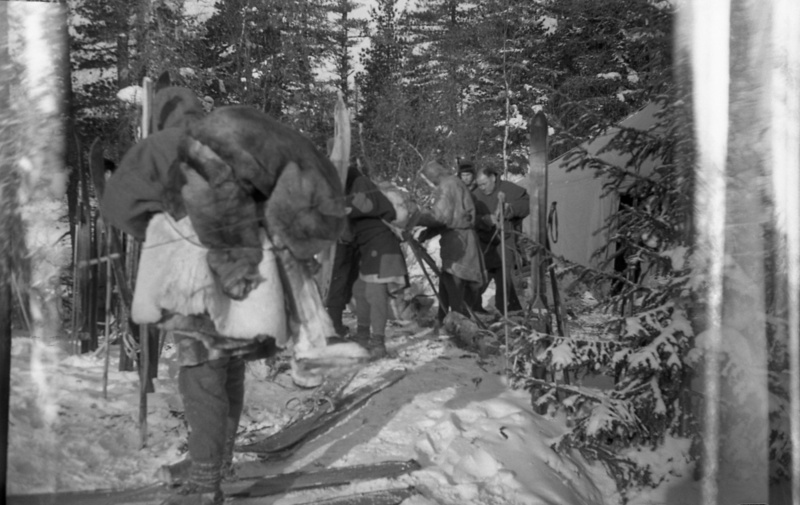 We are currently adding information to the Google map and that's why all layers show. 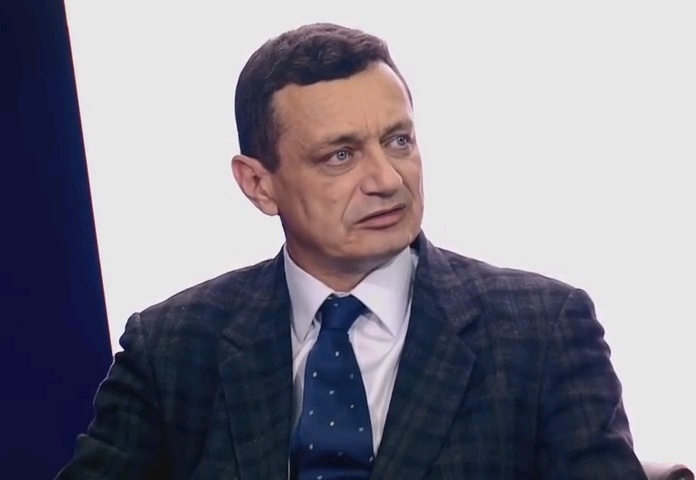 You can uncluttered your view by selecting and deselecting the layers from the icon to the left. 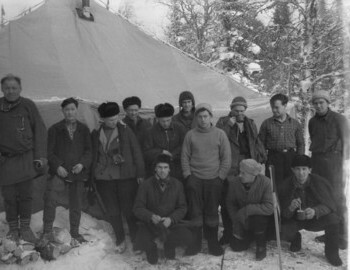 UPI sports club called a meeting, and the other expedition groups in the region were informed that there might be a problem with Dyatlov group. 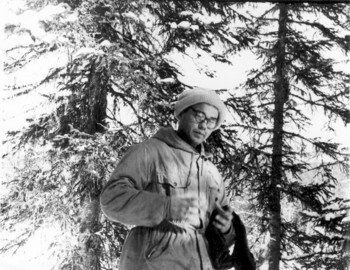 Search parties were formed that including the hikers from treks that had recently returned. 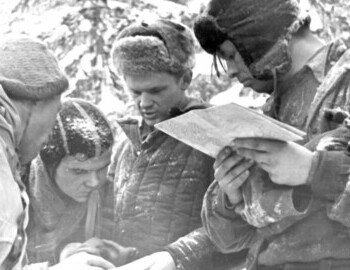 The groups led by Sergey Sogrin, Yuri Blinov, and Vladislav Karelin all received telegrams telling them to stop and wait for reinforcements. 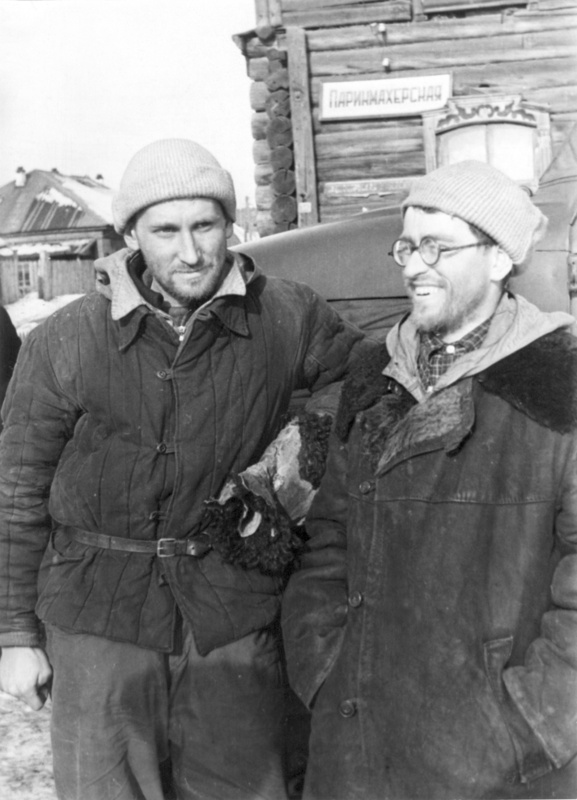 Gordo and Blinov flew to Ivdel to organize the search operation. 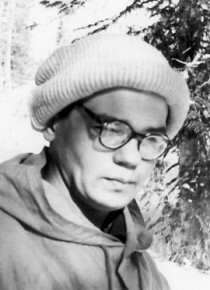 Most likely on the same day, it was decided to recruit Mansi for the search. 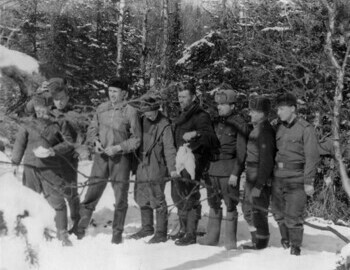 More teams from the university were dispatched to help with the search. 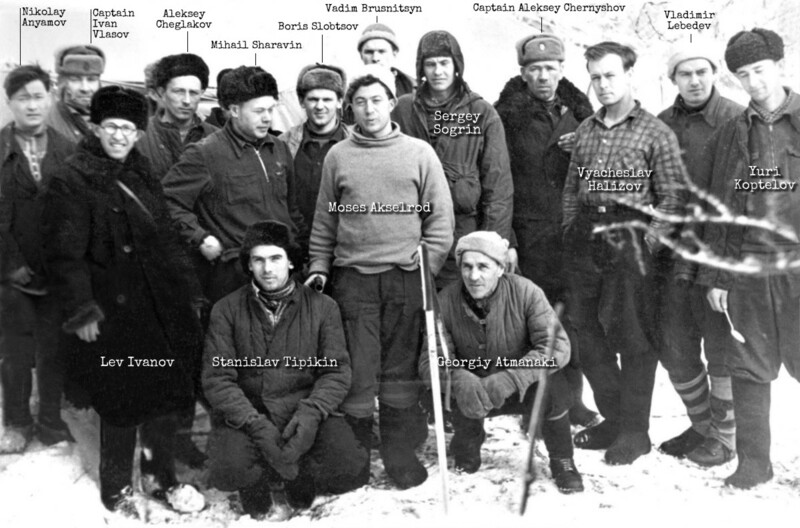 One team was led by Boris Slobtsov, a student at the UPI, another by Oleg Grebennik, also a UPI student, and the third by Moses Akselrod, an experienced climber. 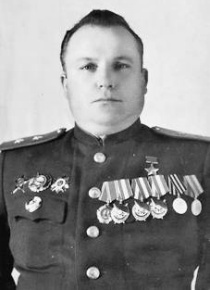 Under the command of Captain Aleksey Chernyshov, a fourth fresh group comprising military personnel was dispatched. 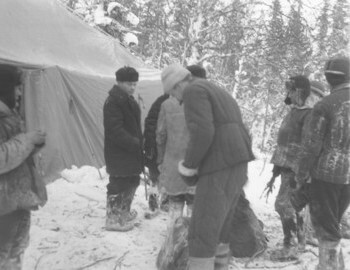 Some local Mansi people were also asked to help. 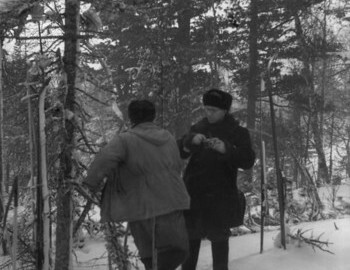 Moscow was made aware of the incident, and soon also sent a few experienced hikers. 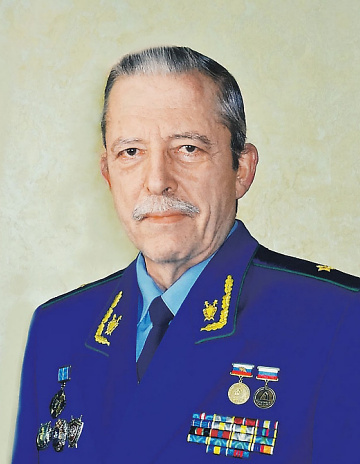 Evgeniy Maslennikov, the head of the UPI sports club, was appointed to coordinate the search, together with Colonel Georgiy Ortyukov of the Army, who was in charge of overall logistics and helicopter support. 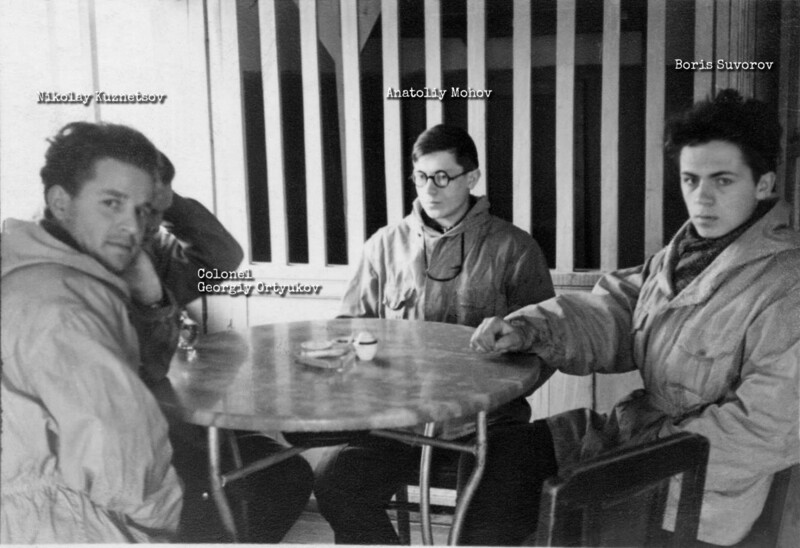 Slobtsov group of 11 assembled first and consisted mainly of UPI students: Boris Slobtsov, Vadim Brusnitsyn, Stas Devyatov, Yuri Koptelov, Vyacheslav Krotov, Vladimir Lebedev, Vladimir Strelnikov, Vyacheslav Halizov, Mihail Sharavin. 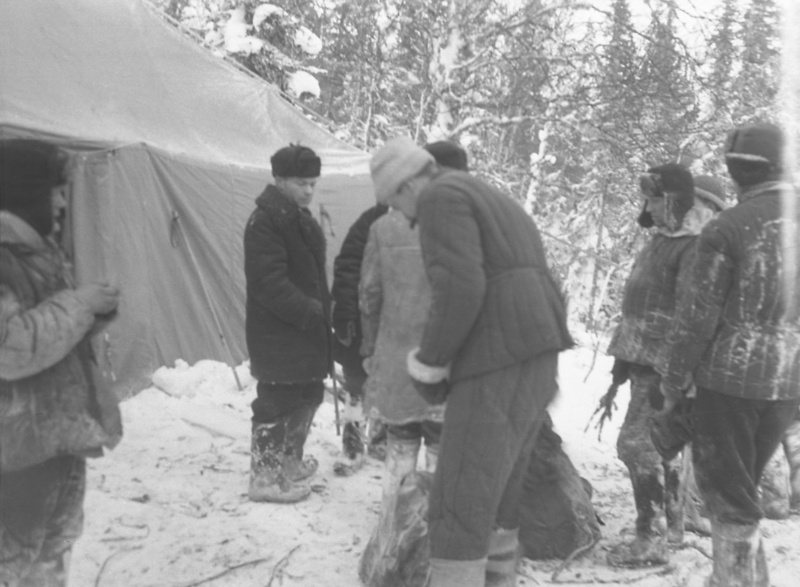 The group also included two local residents - forester Ivan Pashin and hunter Aleksey Cheglakov of the Ministry of Internal Affairs with experience in the taiga. 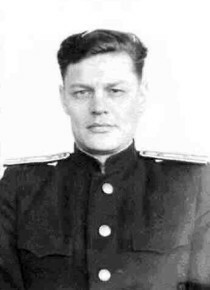 Several prison guards from the Ivdel LAG under the leadership of Captain Aleksey Chernyshov and another seven officers of MVD (cops) under command of lieutenant Potapov have joined the search in the Dyatlov group. 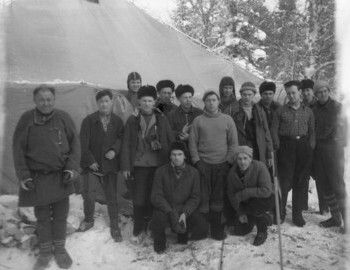 Another three groups were formed in UPI from student volunteers under the leadership of Oleg Grebennik, Moises Akselrod and Boris Slobtsov. 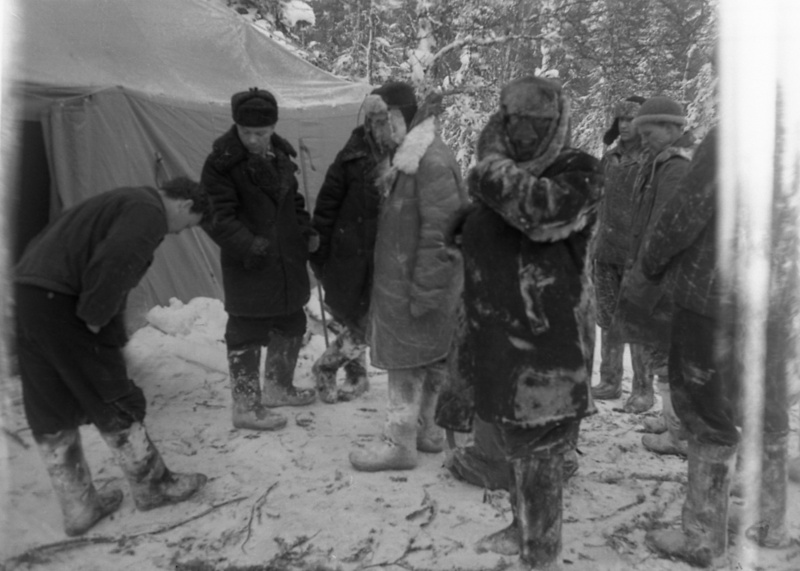 Additionally, four Mansi hunters were hired to help and look for the missing group. 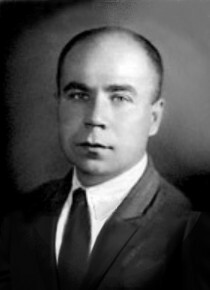 Moscow sent several specialists including E. P. Maslennikov, Baskin, Bardin and Shuleshko. 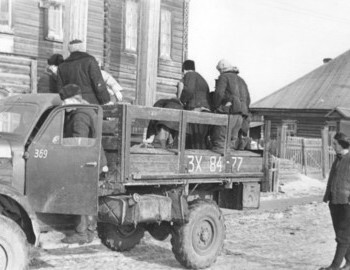 Slobtsov rescue group was transported on an airplane from Sverdlovsk to the military airfield of Ivdel with equipment and weekly supply of products. 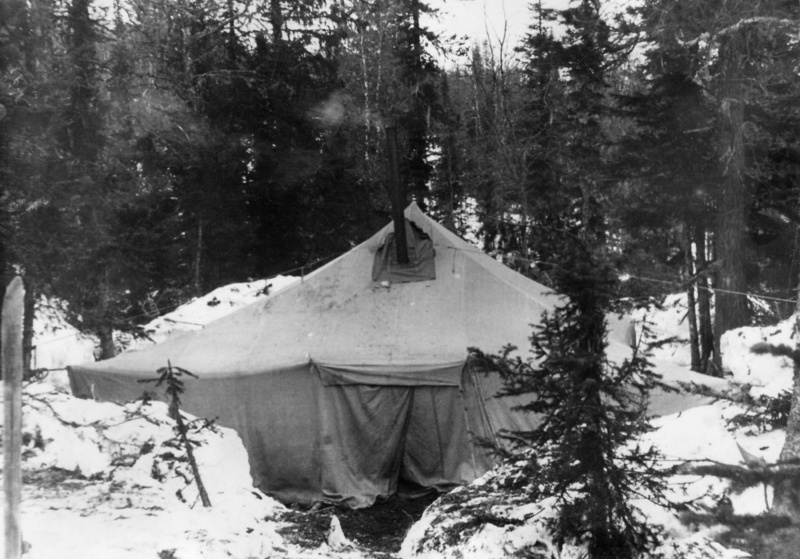 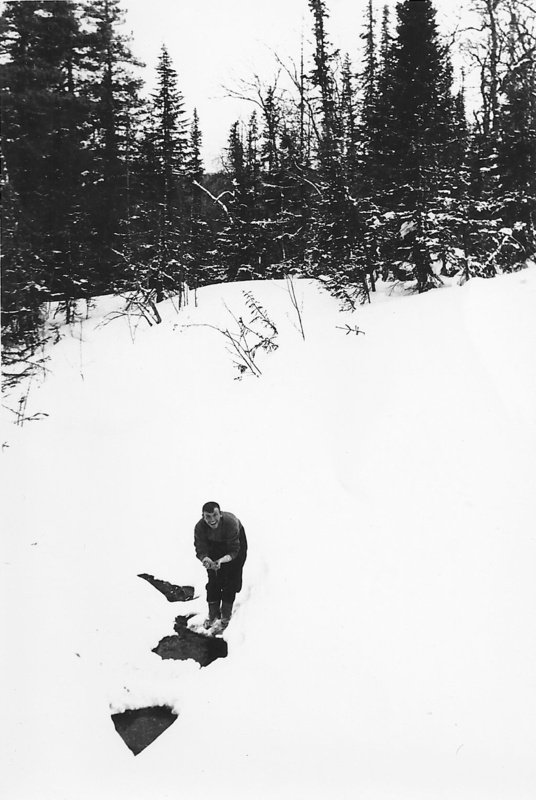 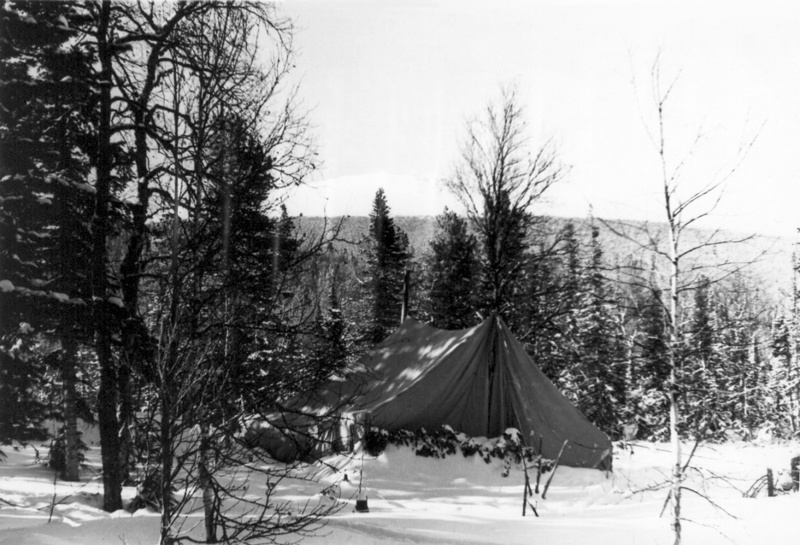 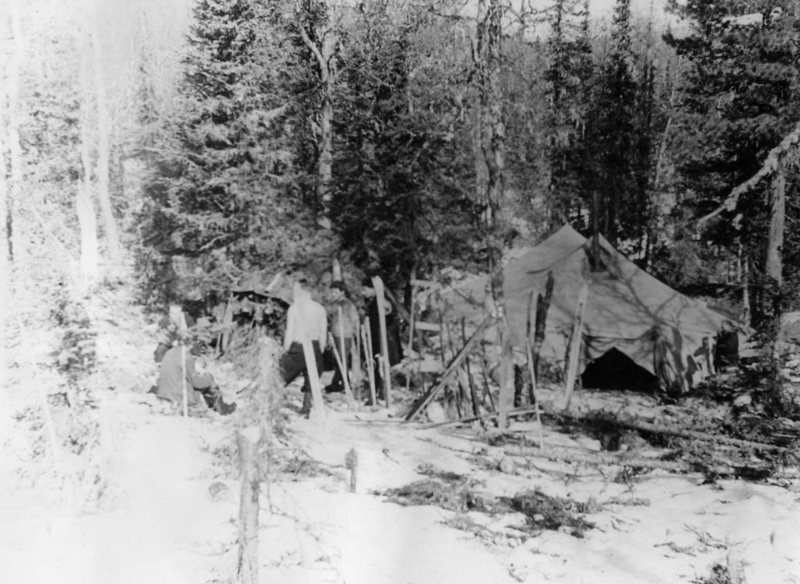 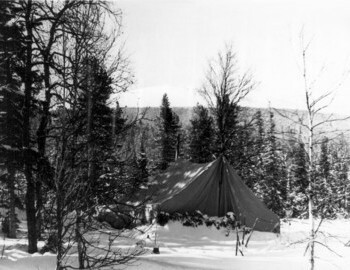 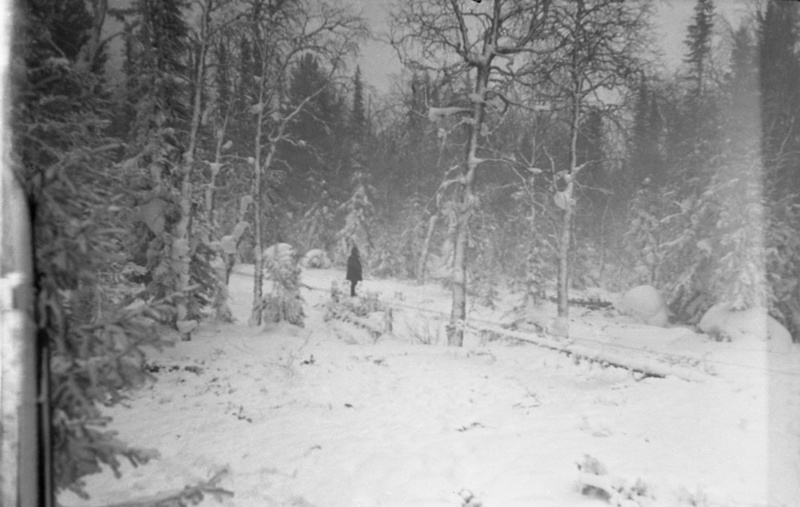 "On the top, where we were brought in by helicopter, we saw no tracks. 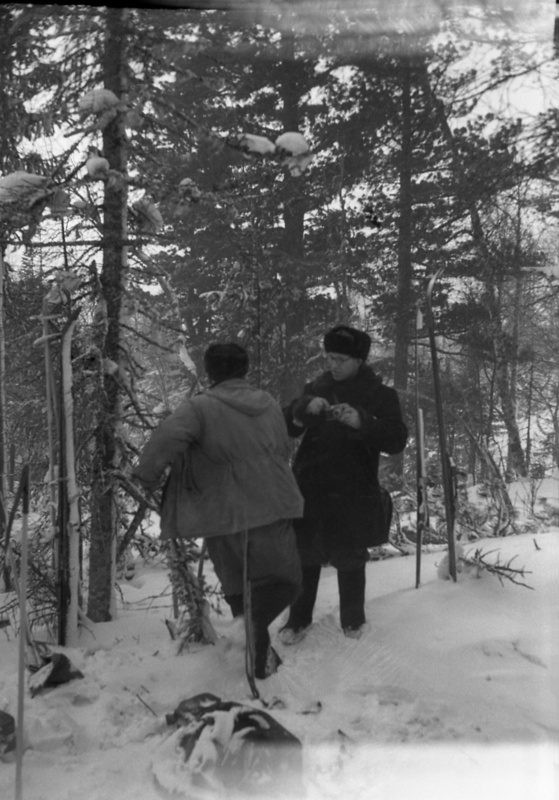 The next day was dedicated to some useless searches along the Lozva River. 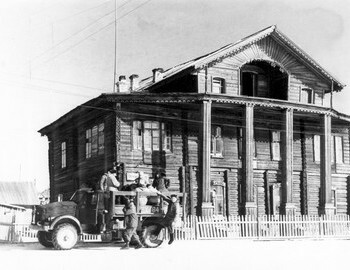 That very day we came to the banks of the Auspiya, where we knew that Dyatlov was intending to create his storage depot. 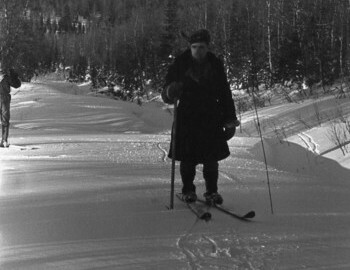 Sure enough, on the left bank of this river we found some old ski tracks. 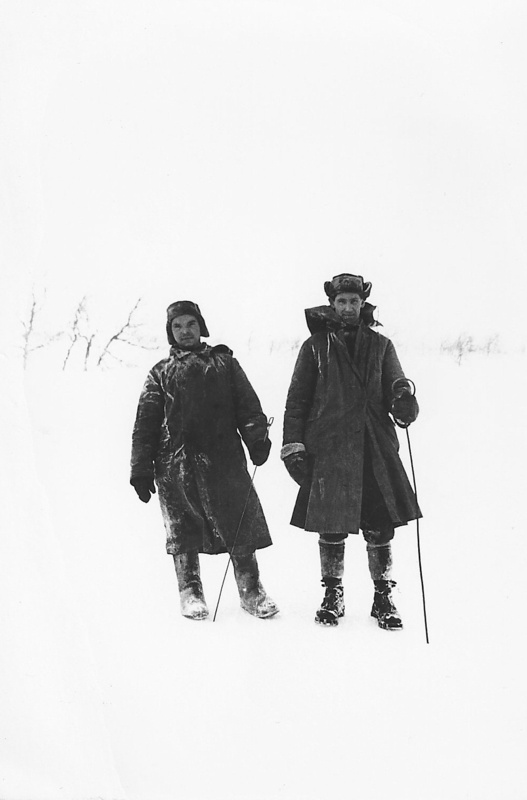 A radio message was sent by our search team operator, and we received the following message from our fellow rescue group: ‘We’re six or ten kilometers from the Auspiya and we’ve found narrow sports ski tracks, different to the wide tracks of the Mansi skis. 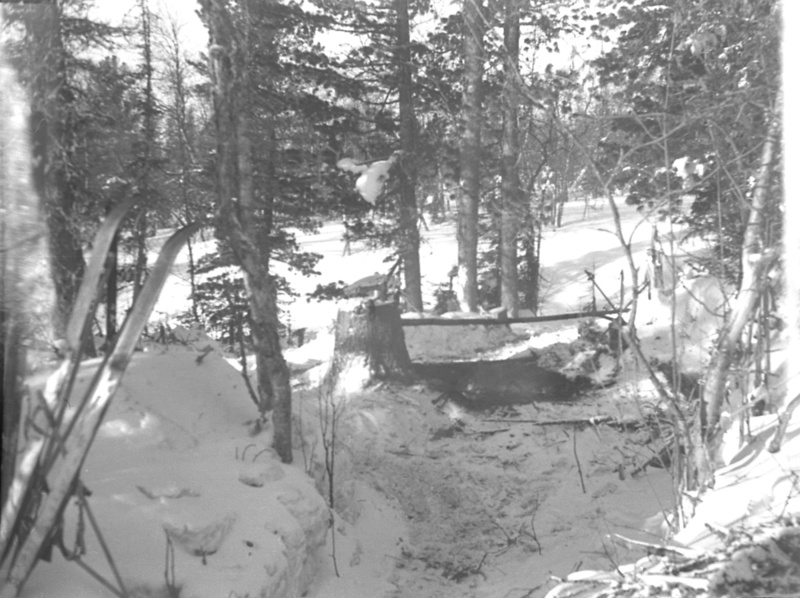 It’s a good trail made by a number of people, and is probably 10-15 days old, very easy to follow in the forest, but almost invisible in open places. 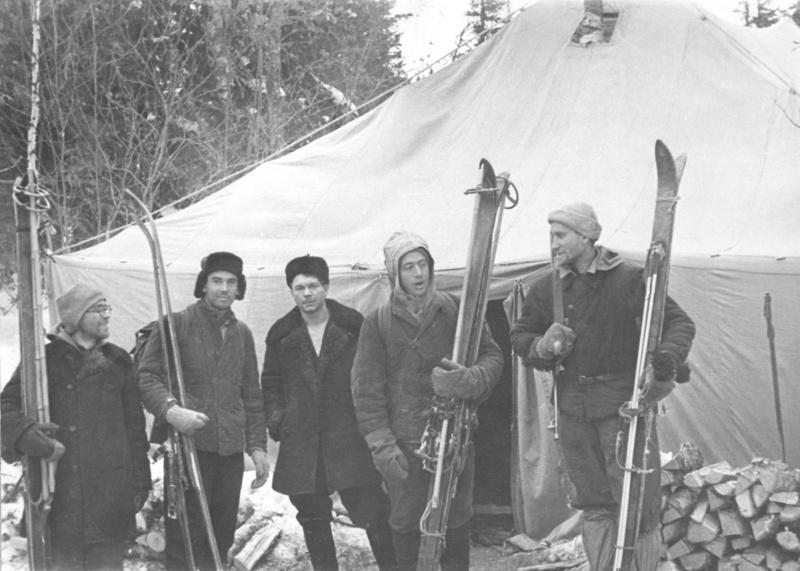 The track goes to the ridge, where of course it disappears due to wind and snow drifts.’"
Next day Slobtsov rescue group reached the mountain and came to a conclusion that Dyatlov group never made it this far. 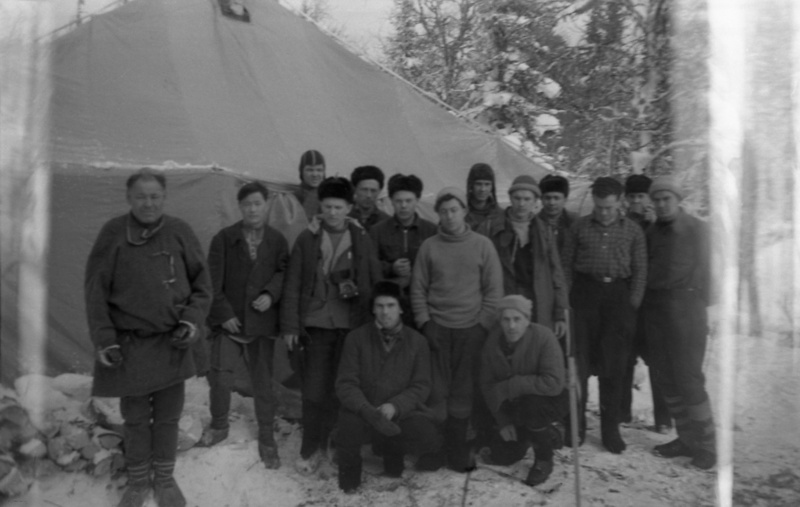 The students didn't find any traces, flags or anything else that would indicate recent ascend. 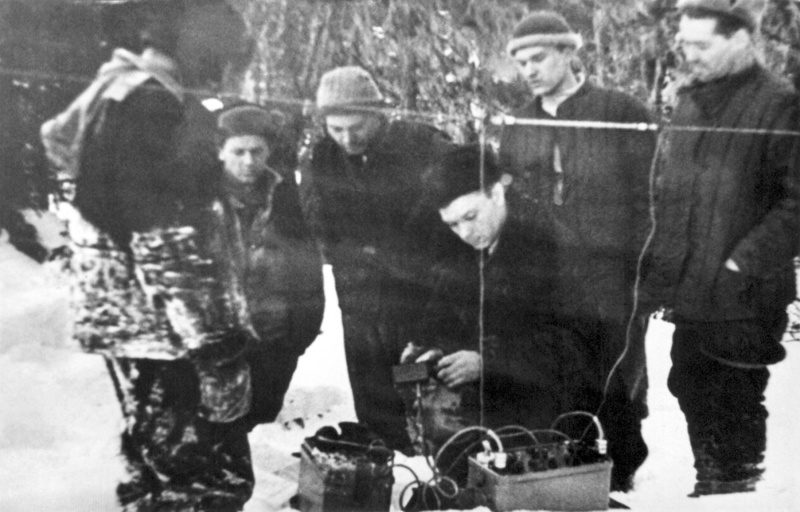 They crossed the source of Lozva trying to find tracks left by Dyatlov group. 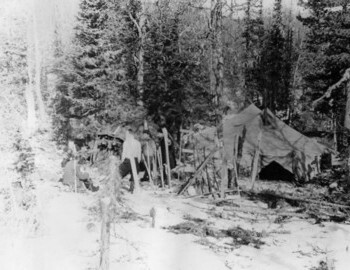 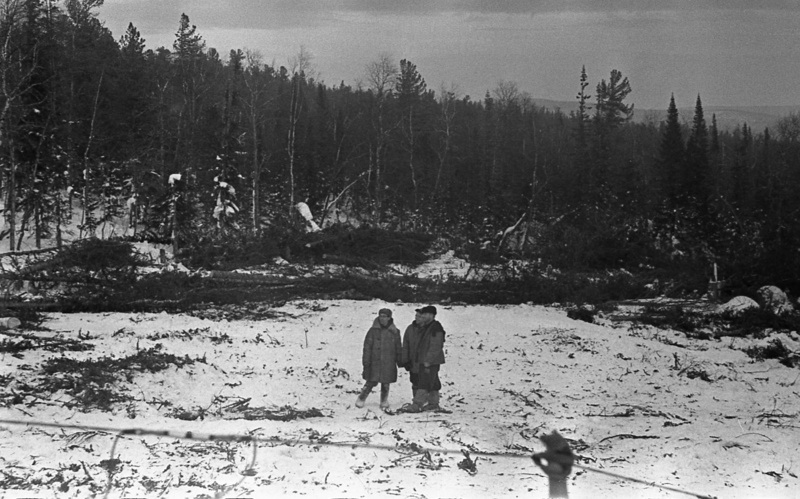 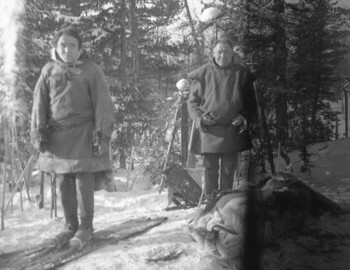 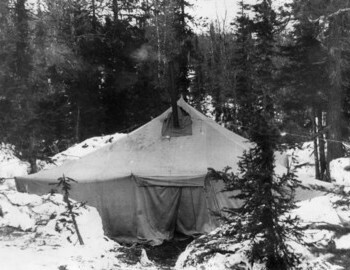 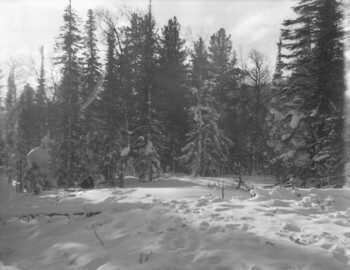 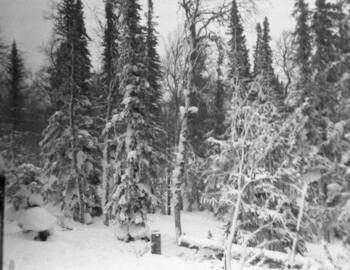 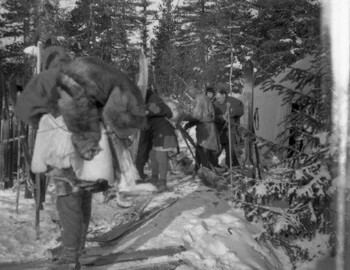 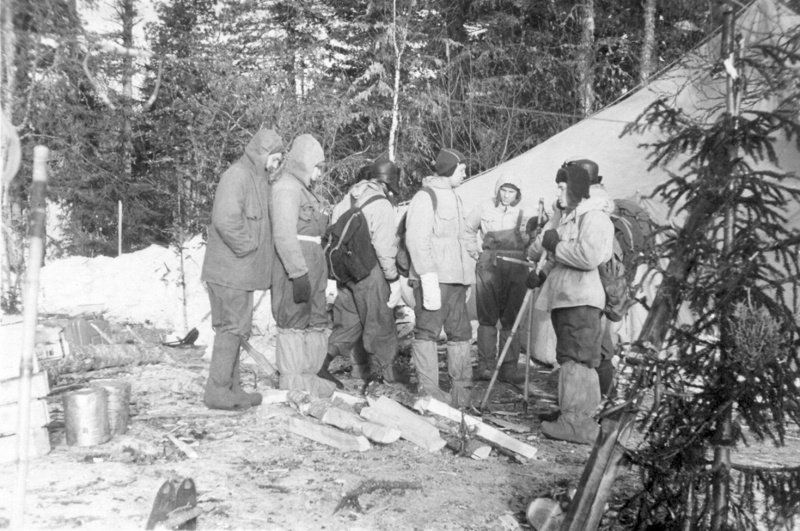 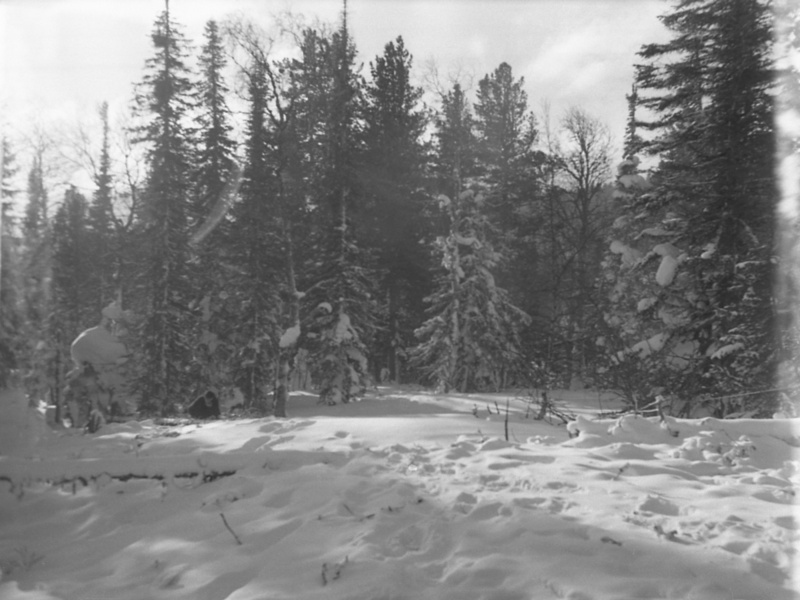 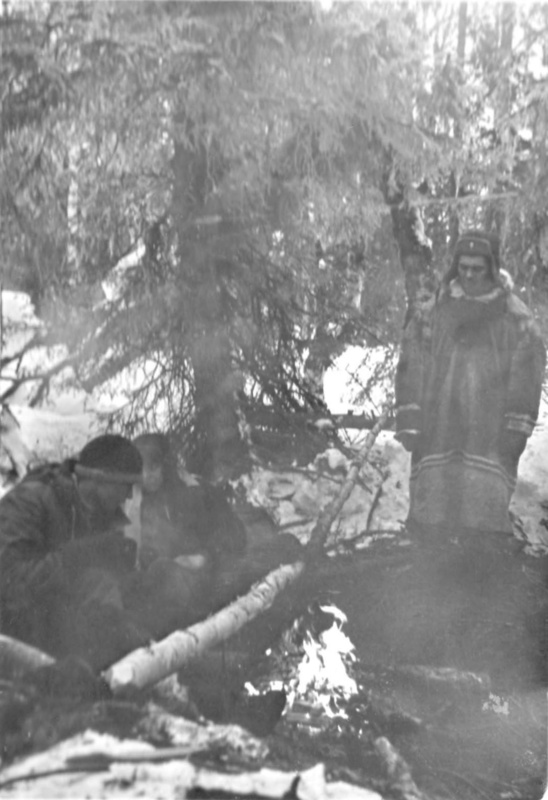 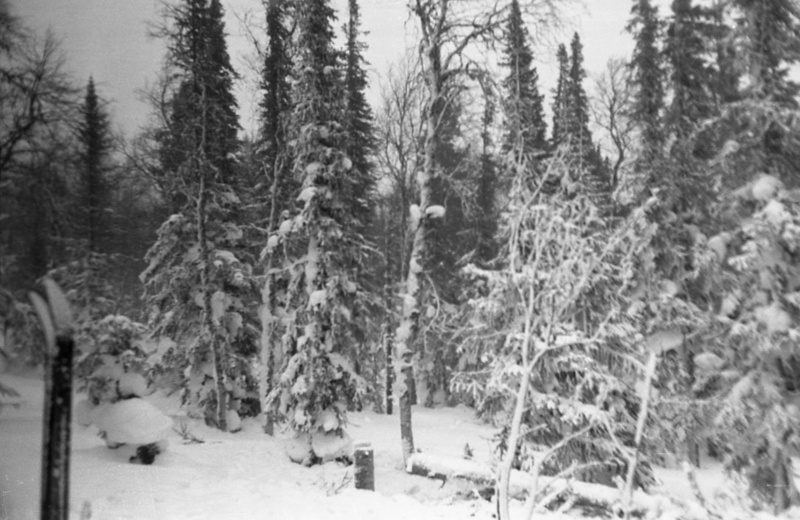 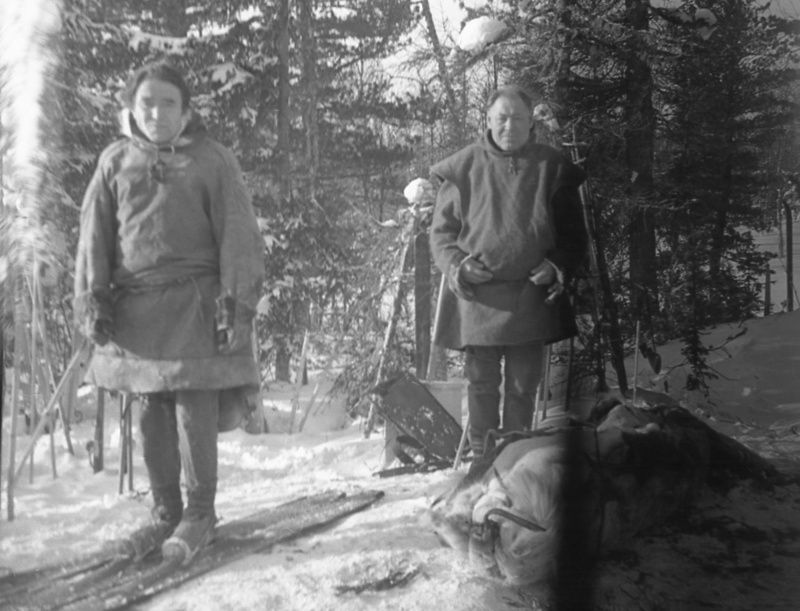 They didn't find any but realized that tracks can be only preserved in the taiga. 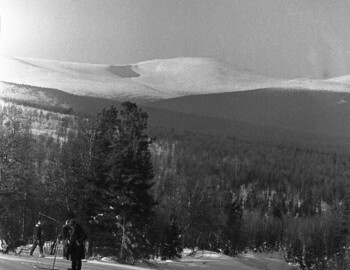 On the open slopes of the mountain the skis didn't leave any trace. 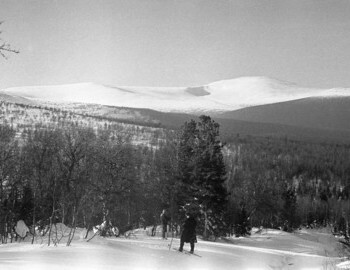 Therefore they decided to look for footprints father down, in the taiga, and cross the forest part of Auspiya valley. 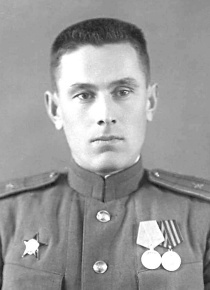 There laid another possible route of Dyatlov group. 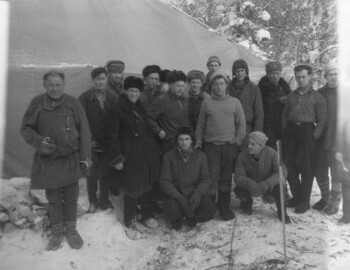 On Feb 24 Slobtsov group moved south, to the valley of Auspiya river. 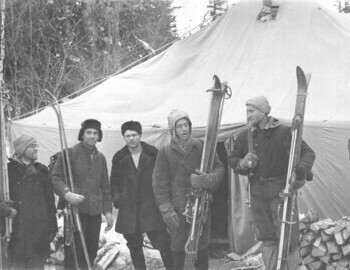 Slobtsov group going up and down Auspiya valley found 5 km down the river Dyatlov group camp site. 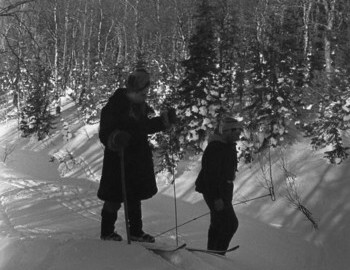 On the left bank of the river were barely noticeable snow-covered ski tracks. 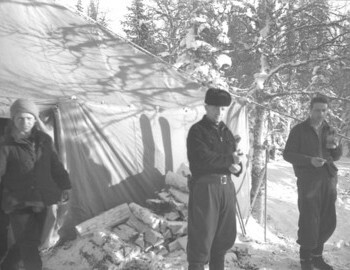 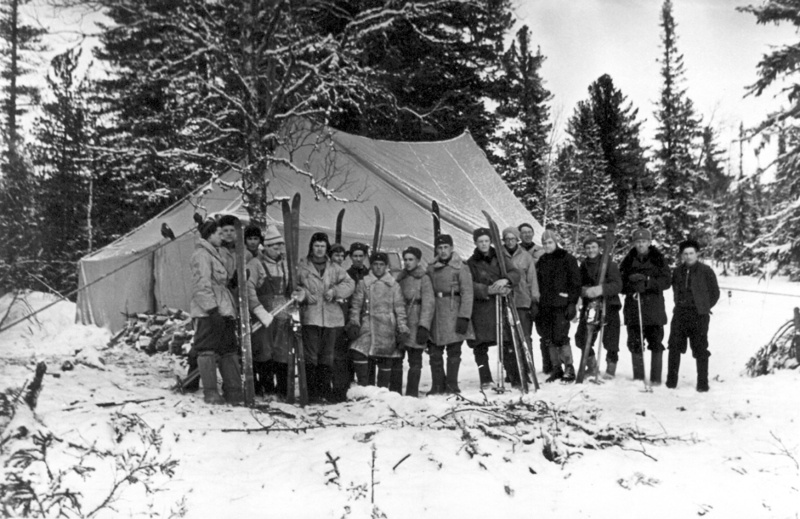 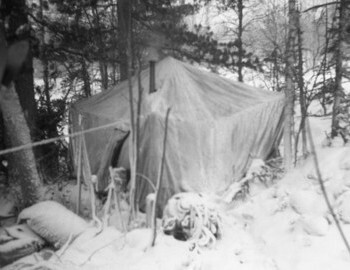 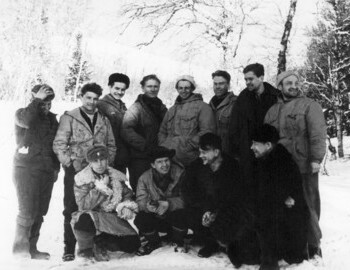 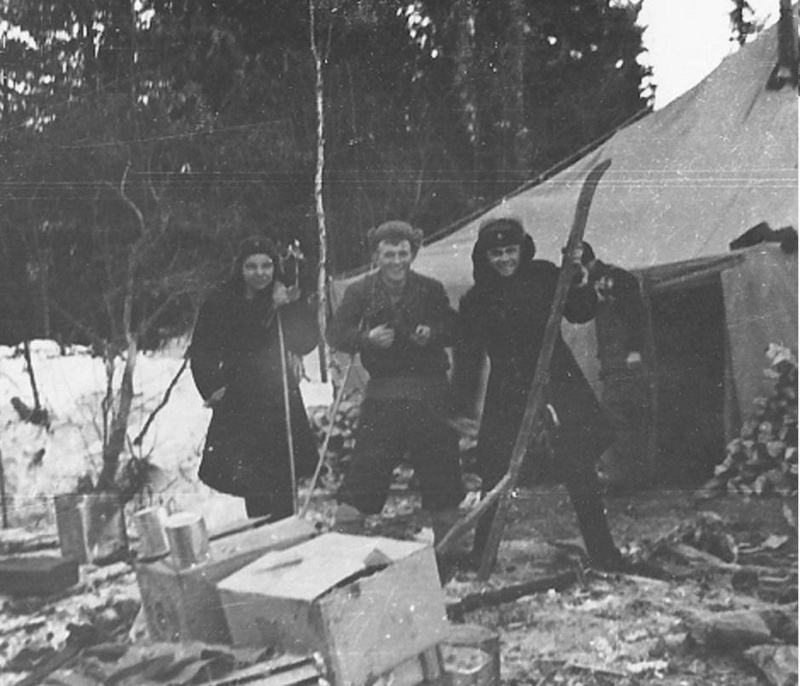 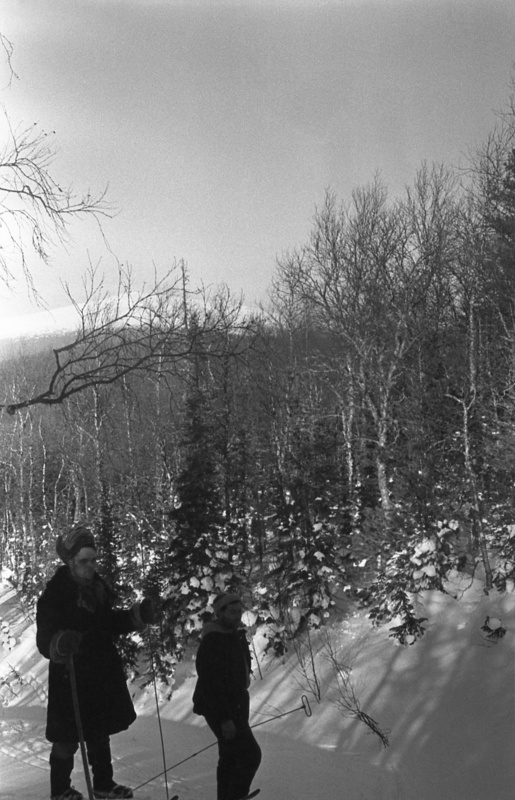 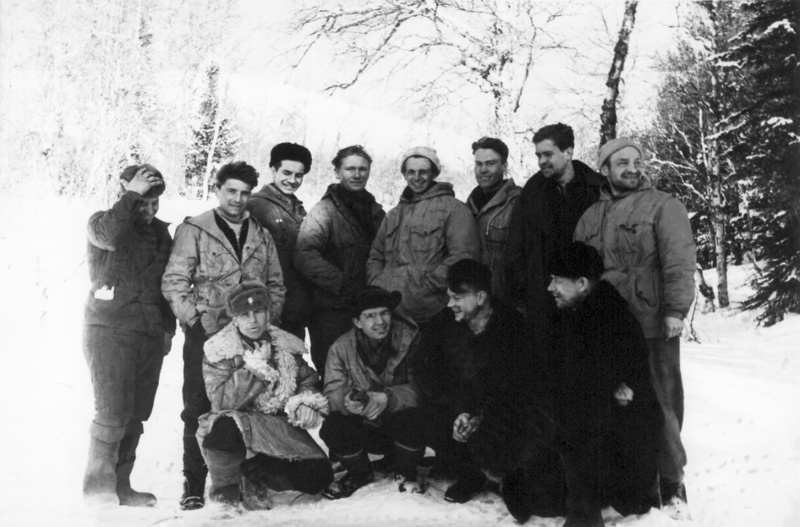 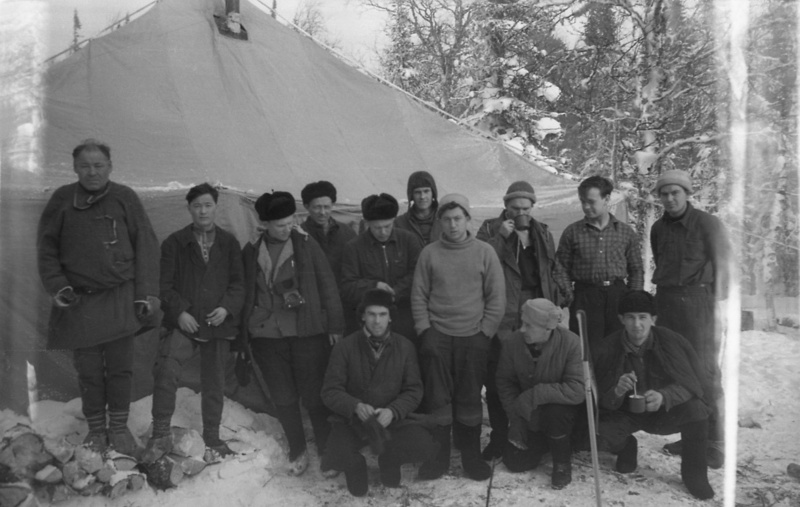 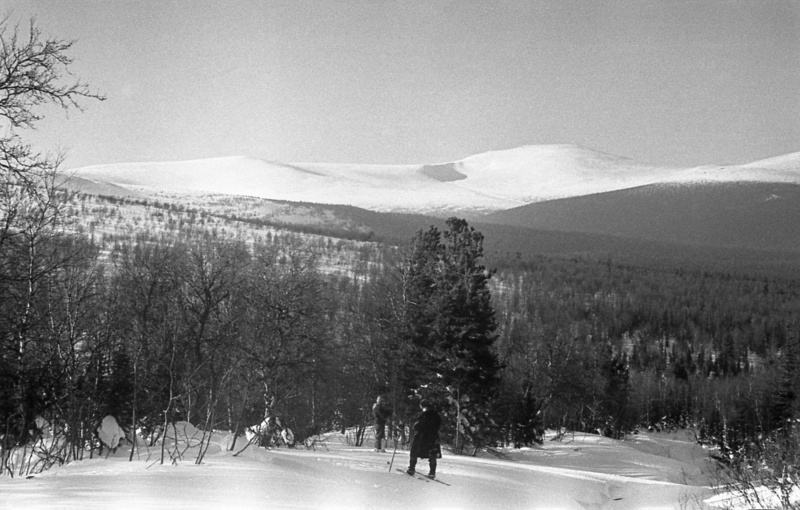 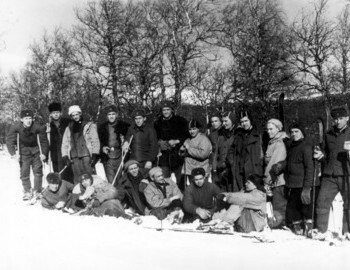 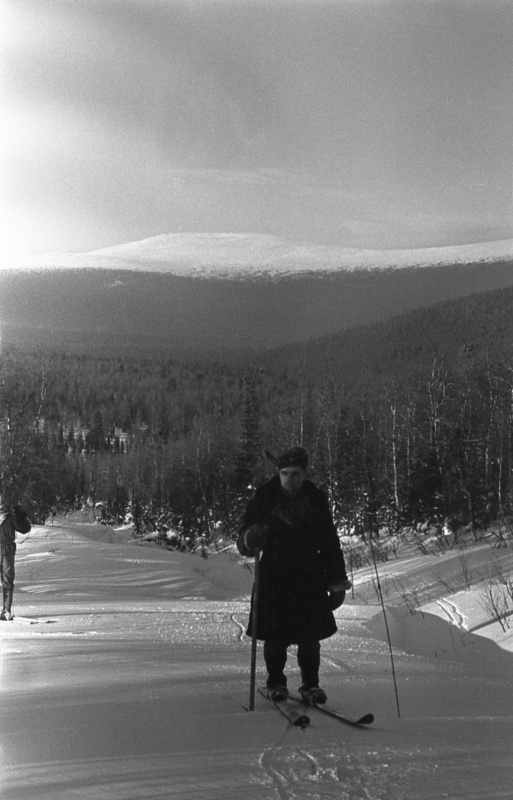 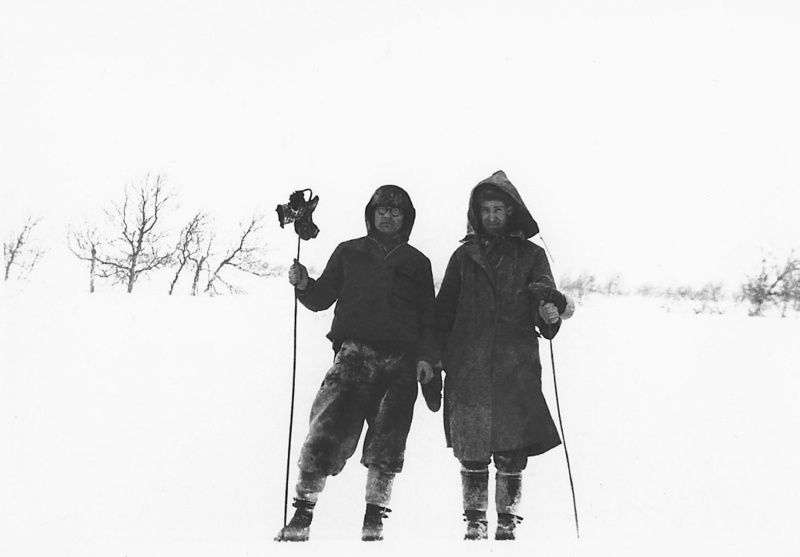 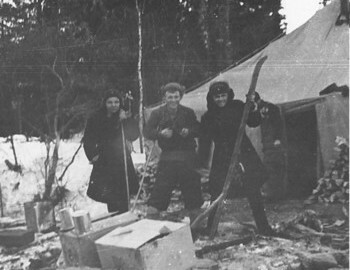 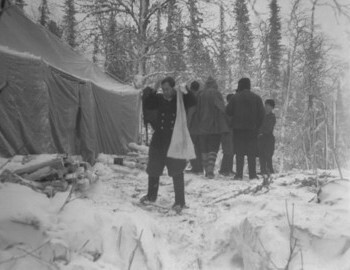 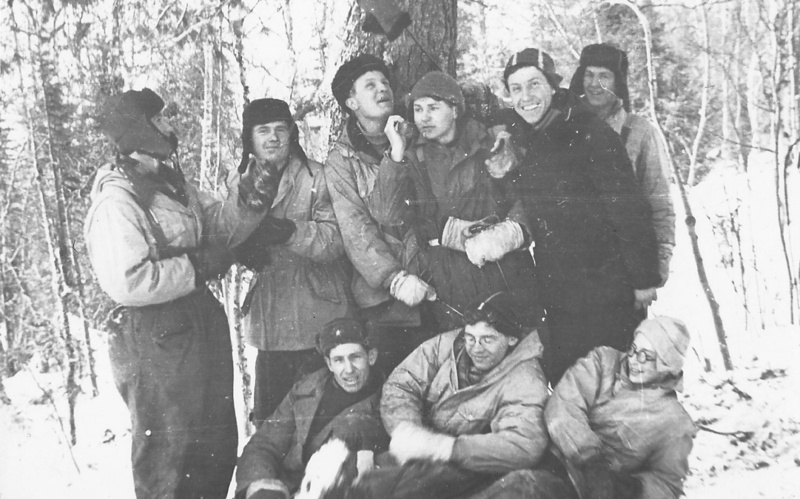 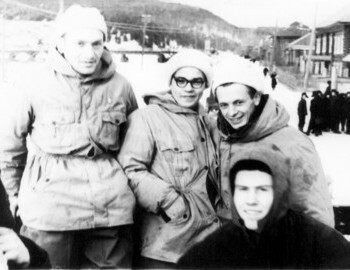 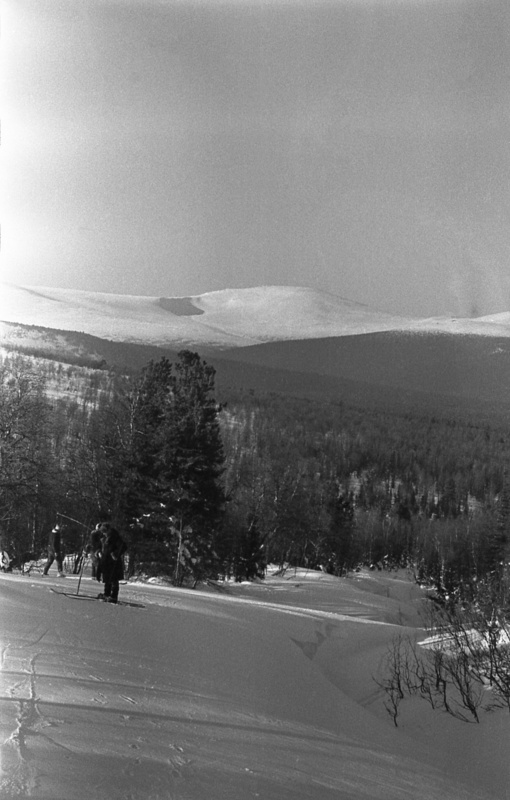 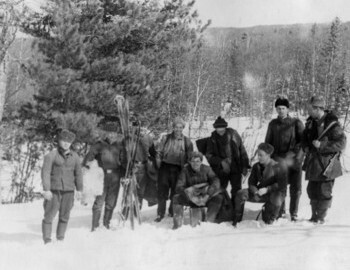 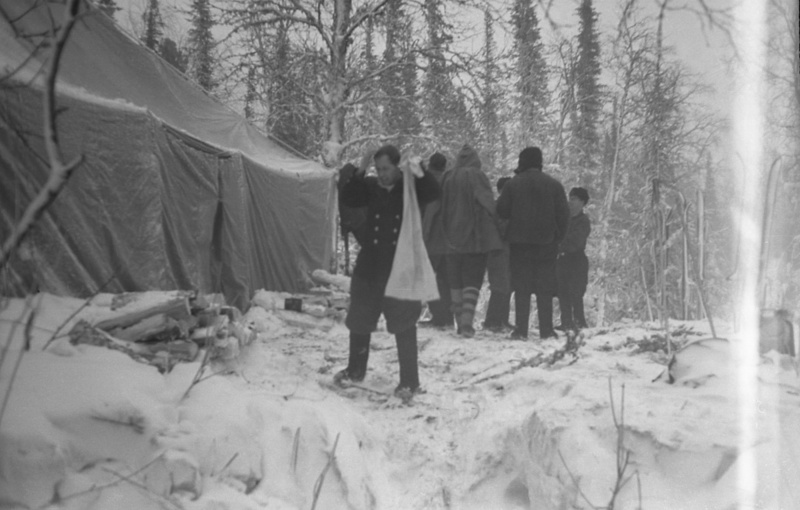 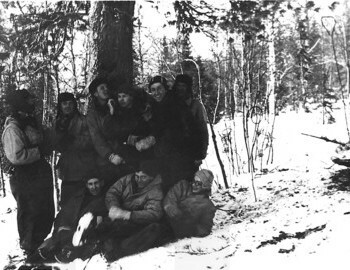 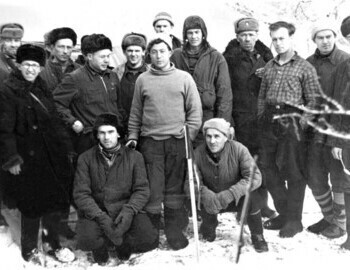 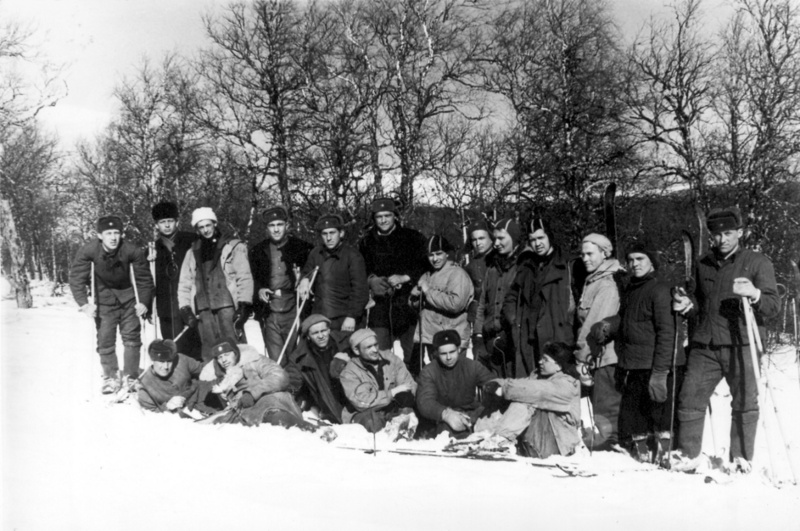 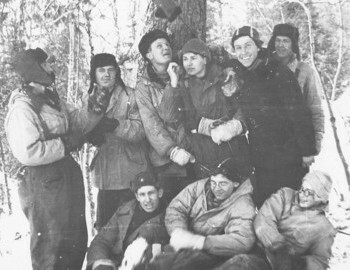 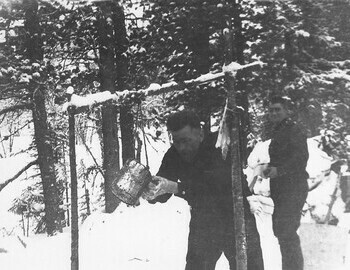 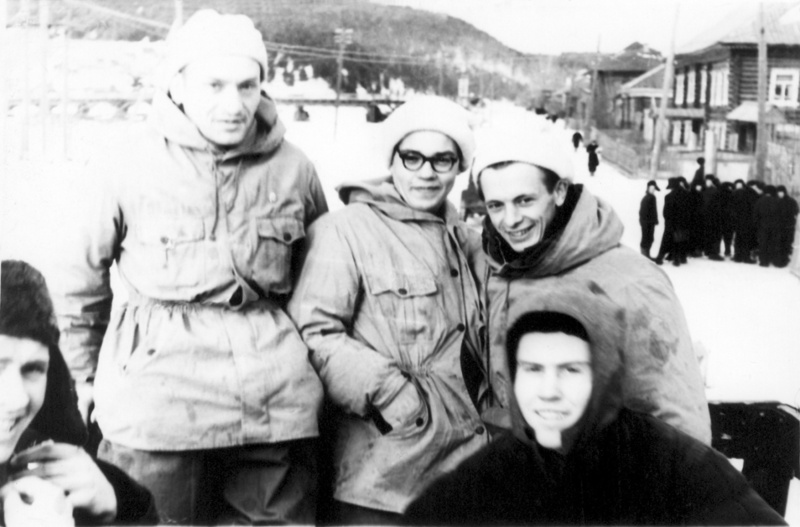 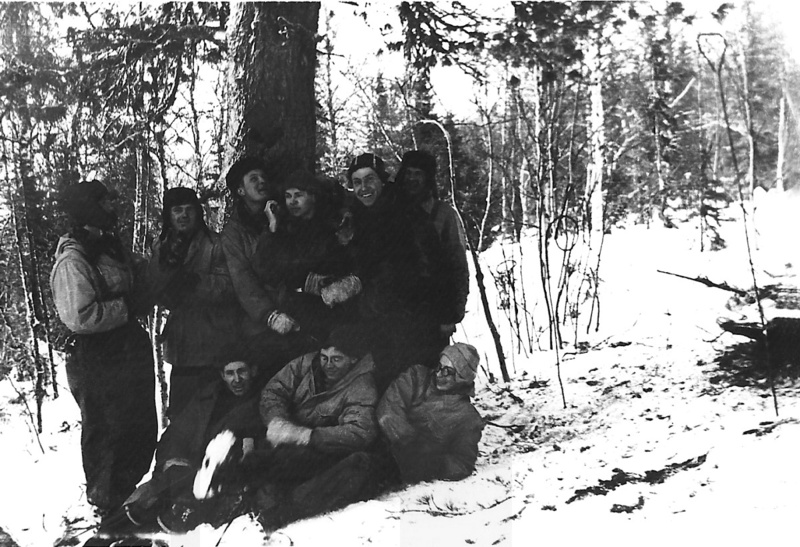 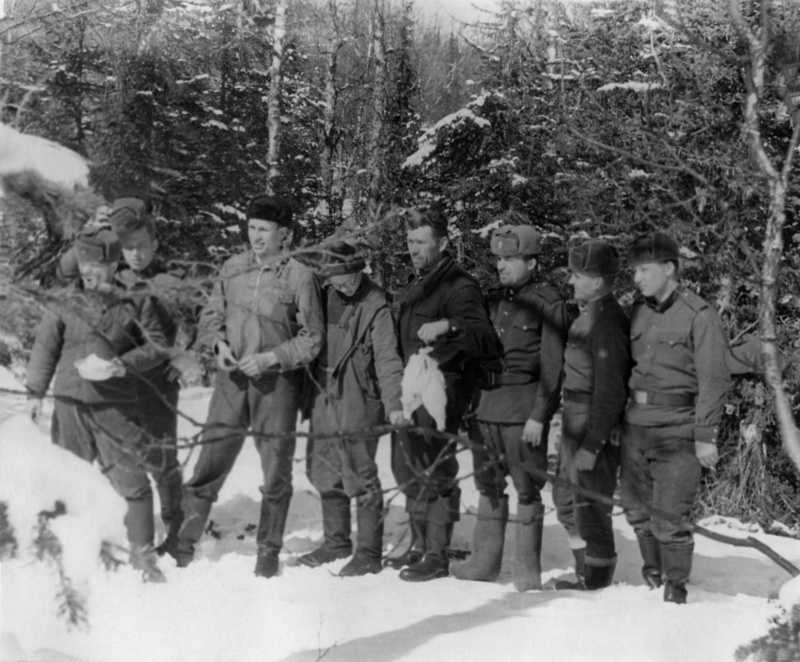 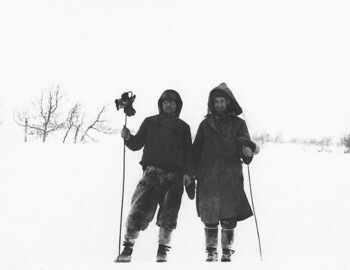 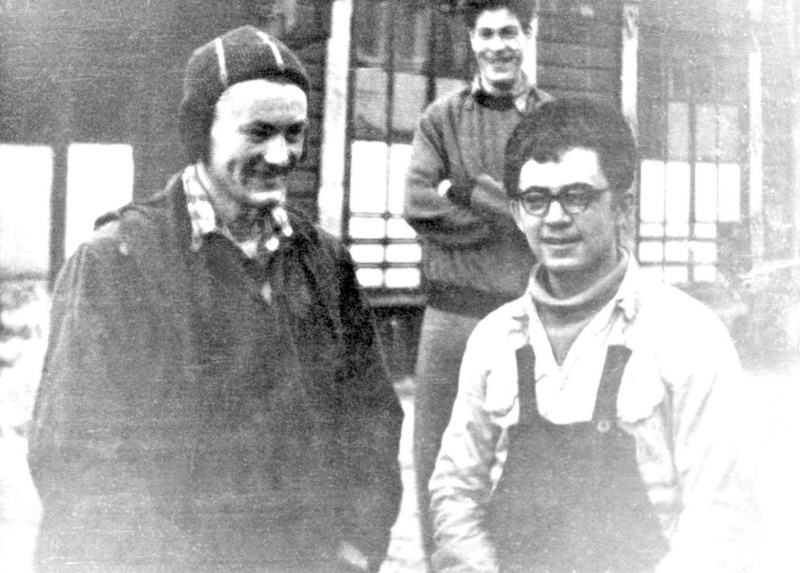 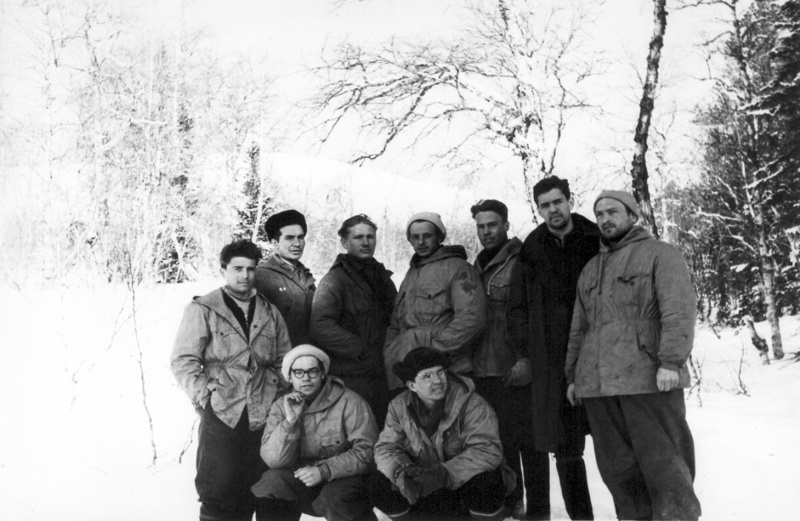 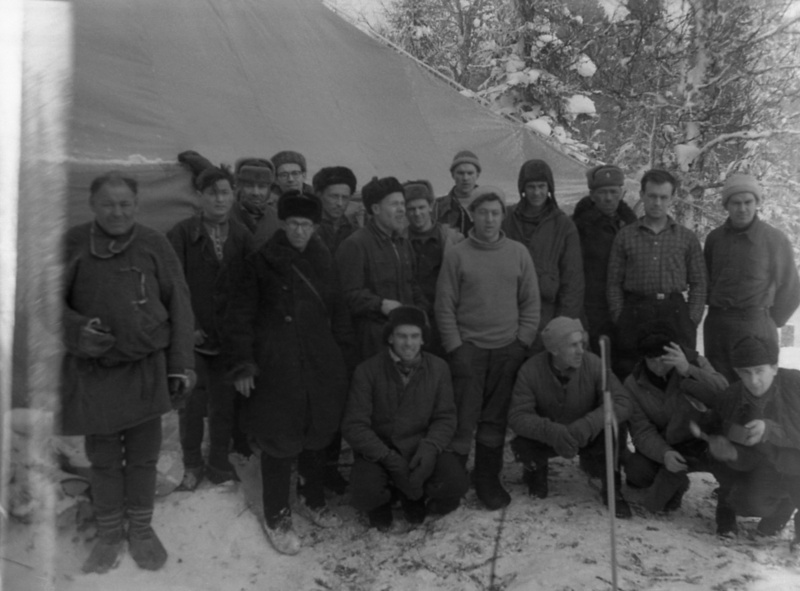 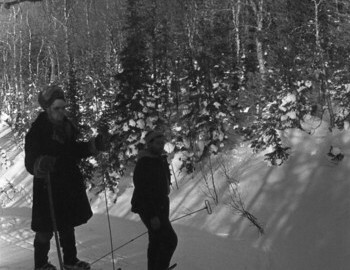 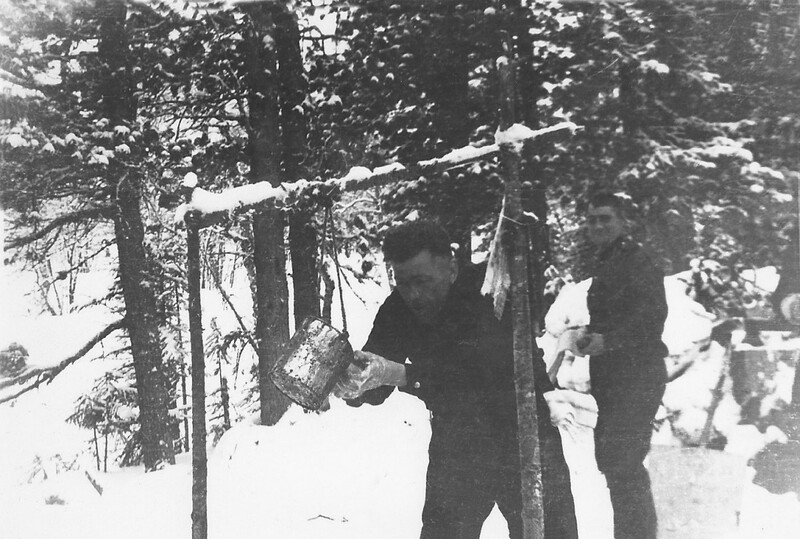 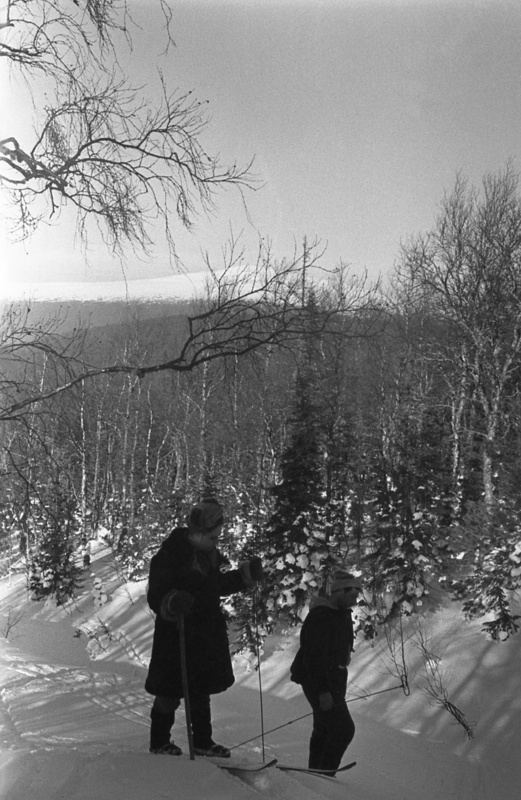 Karelin group finished a trek to Mount Molebny Kamen from 9 to 24 Feb 1959. 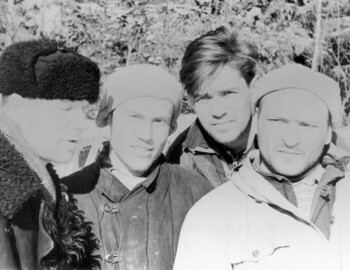 They started in the area of the upper sources Niols river towards Mount Sampalchakhl 910 where Dyatlov group was supposed to end their trek at the same time. 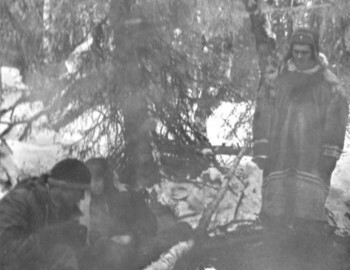 Both groups had discussed meeting near Oykachakhl 1322. 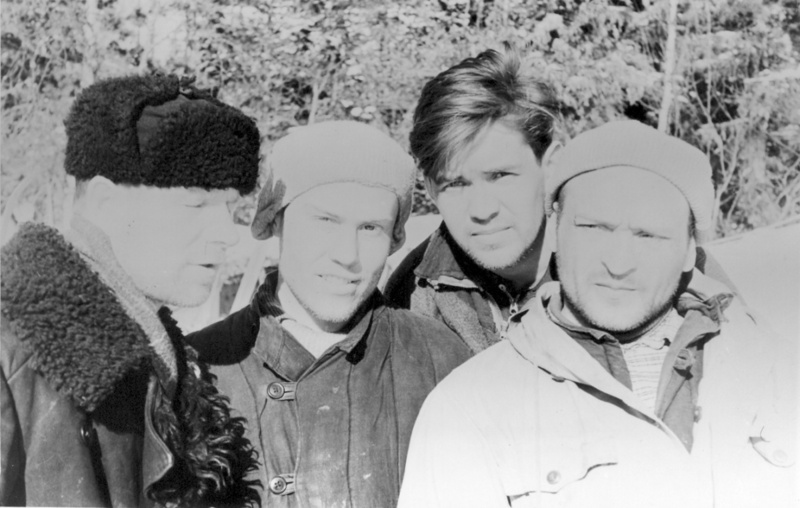 When Dyatlov was no show Karelin made a big deal of it and they continued their way. 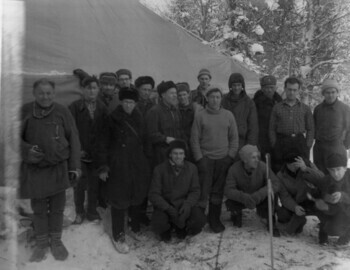 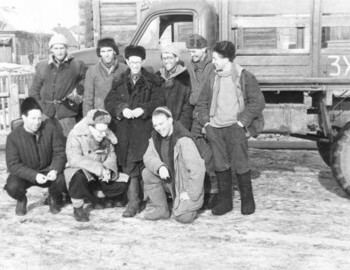 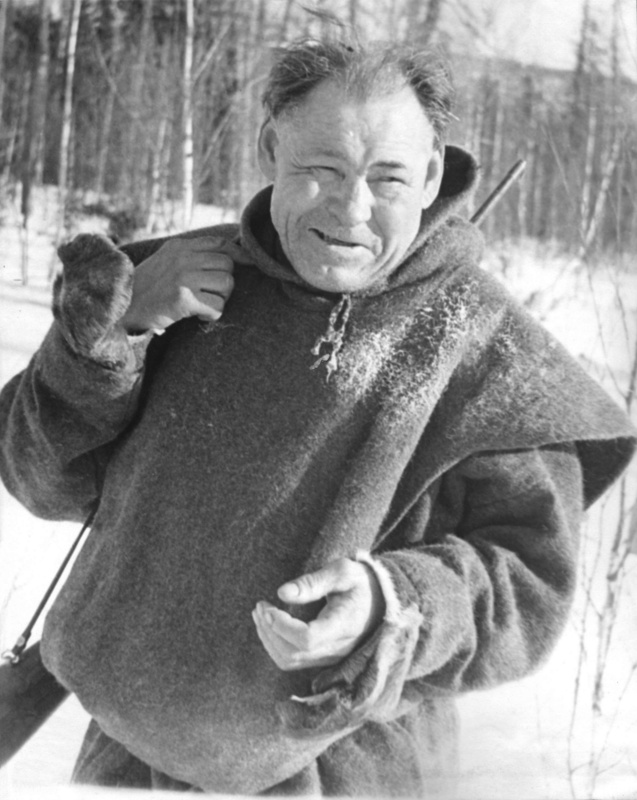 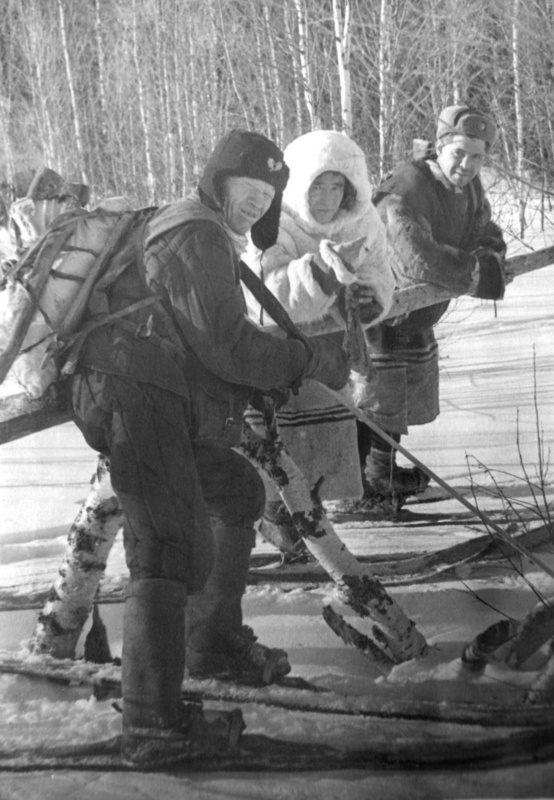 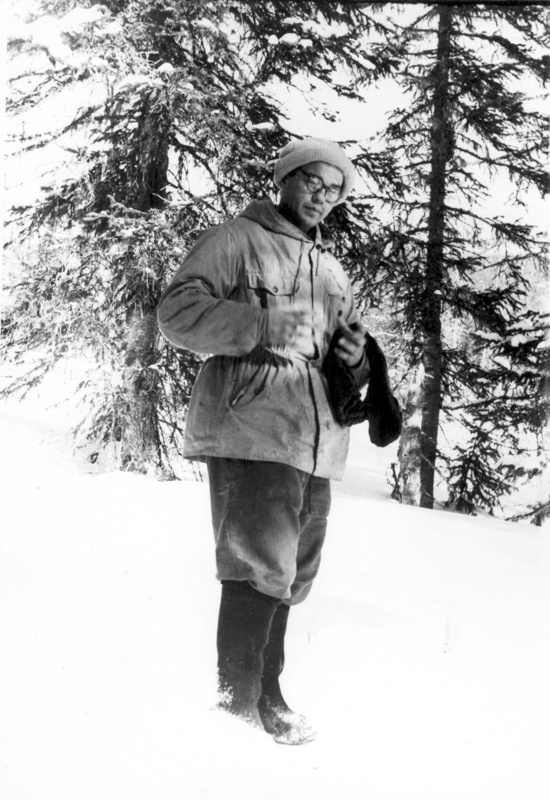 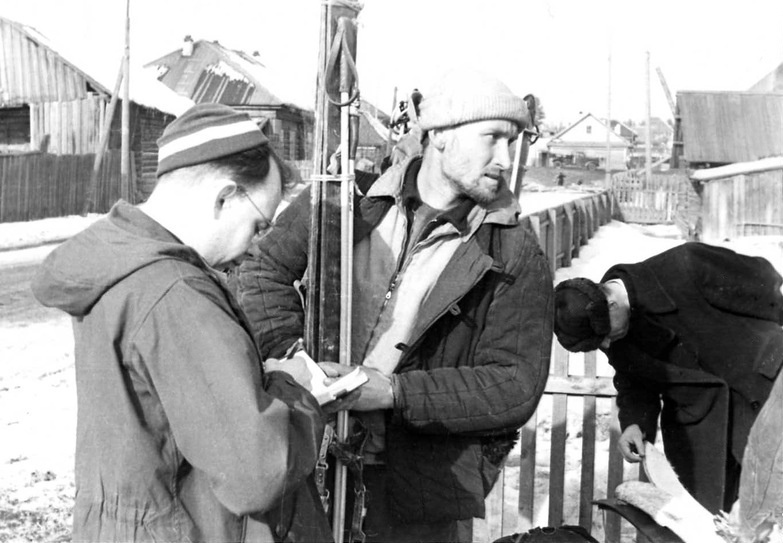 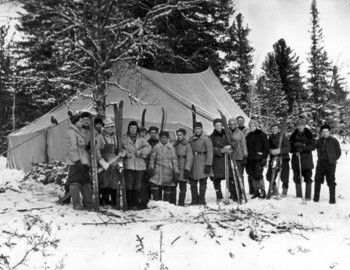 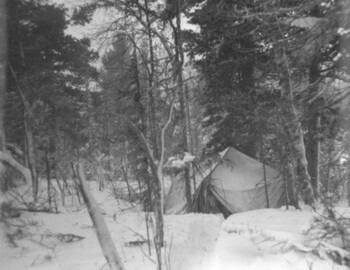 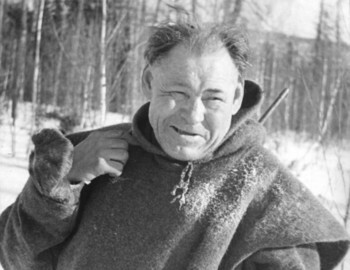 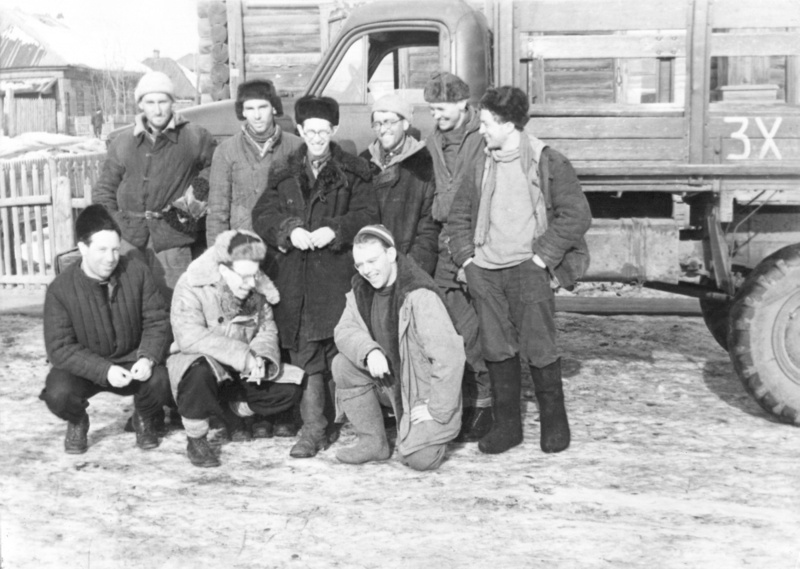 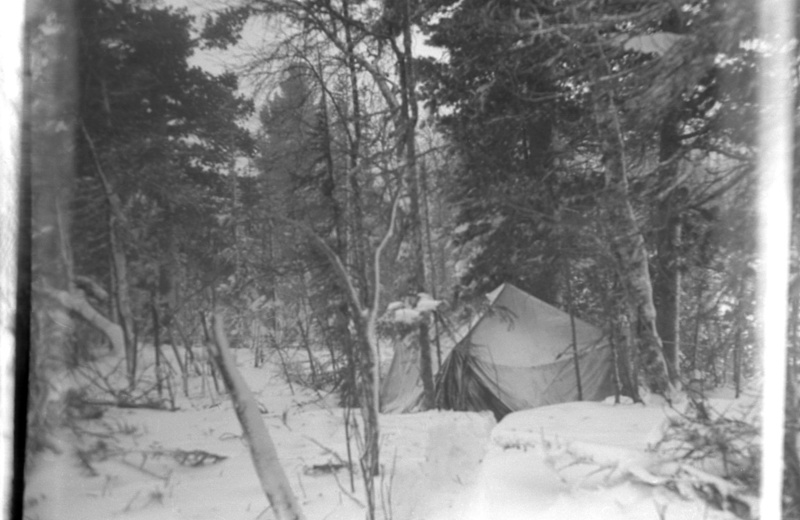 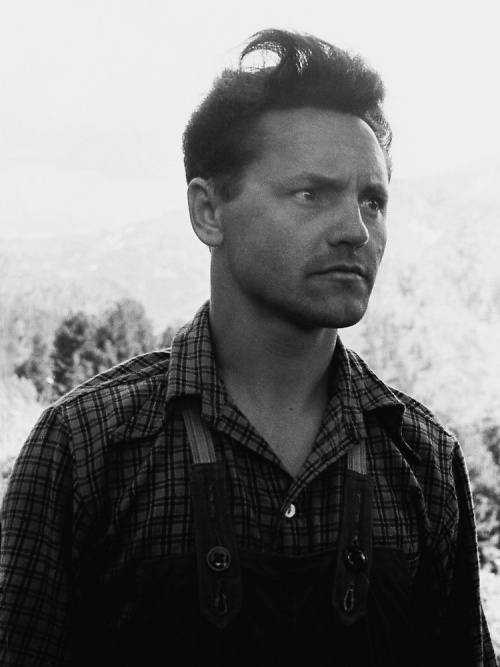 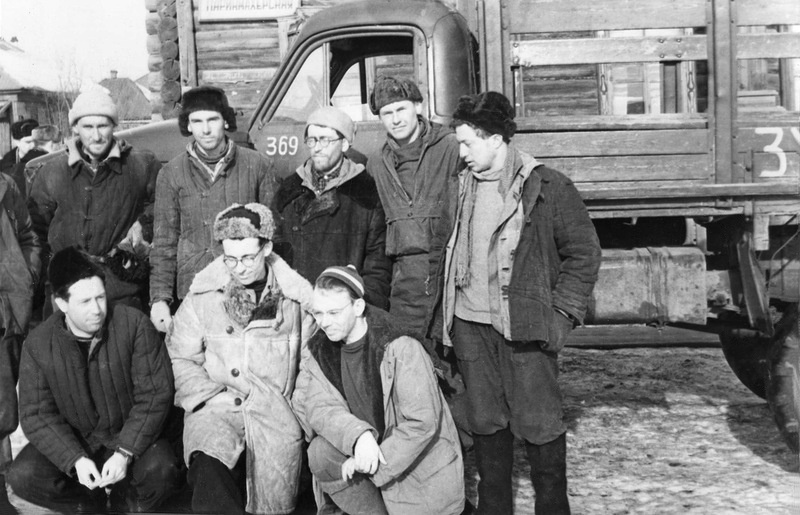 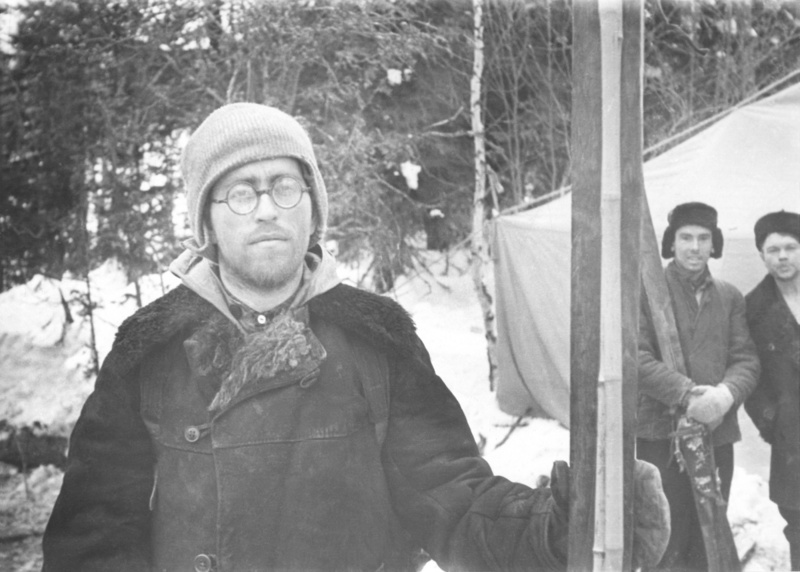 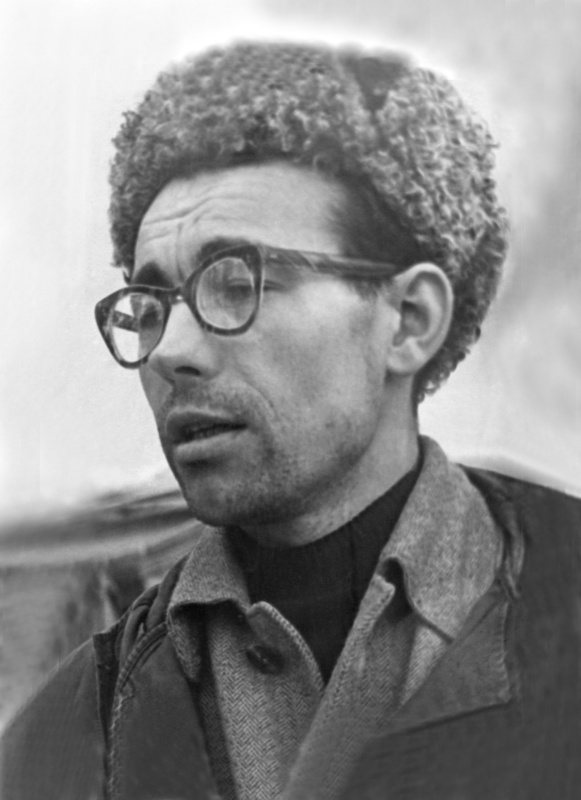 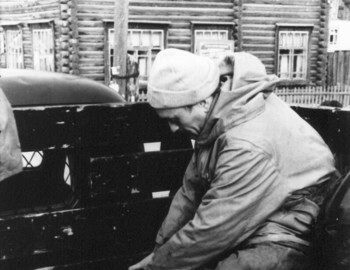 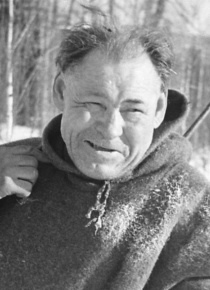 Two weeks later 25 Feb 1959 in a dining room at the train station of Serov city a man, calling himself a representative of Northern geological party, approached the hikers and asked casually "Aren't they searching for you?" 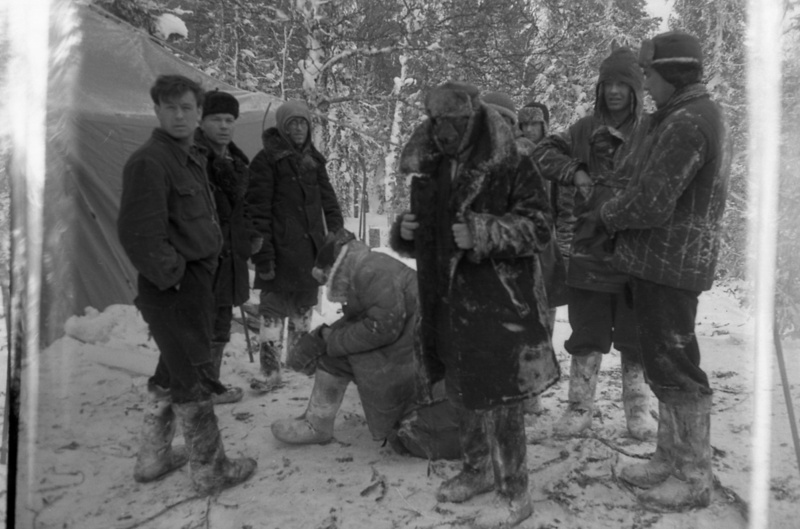 They answered warily "What do you mean search? 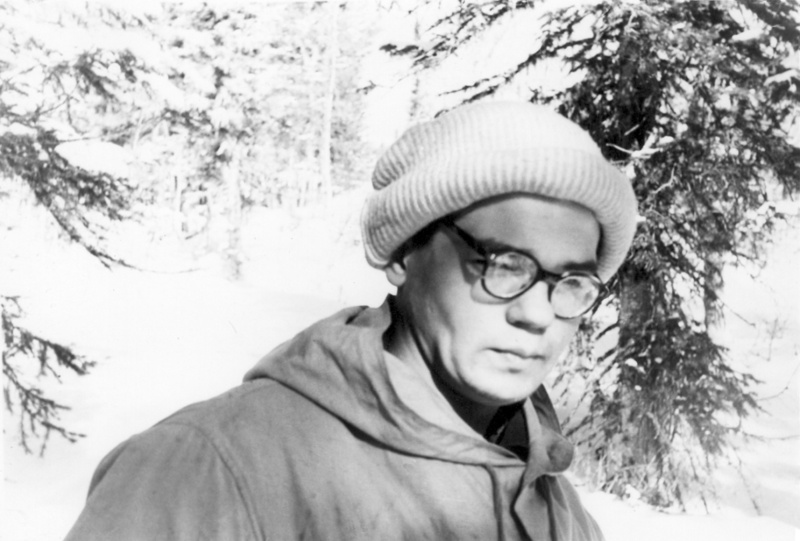 We are not due yet." 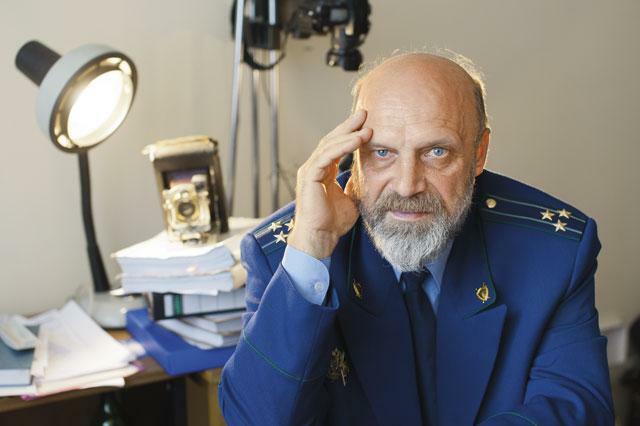 They called hastily Sverdlovsk and learned from Orlov about the missing Dyatlov group. 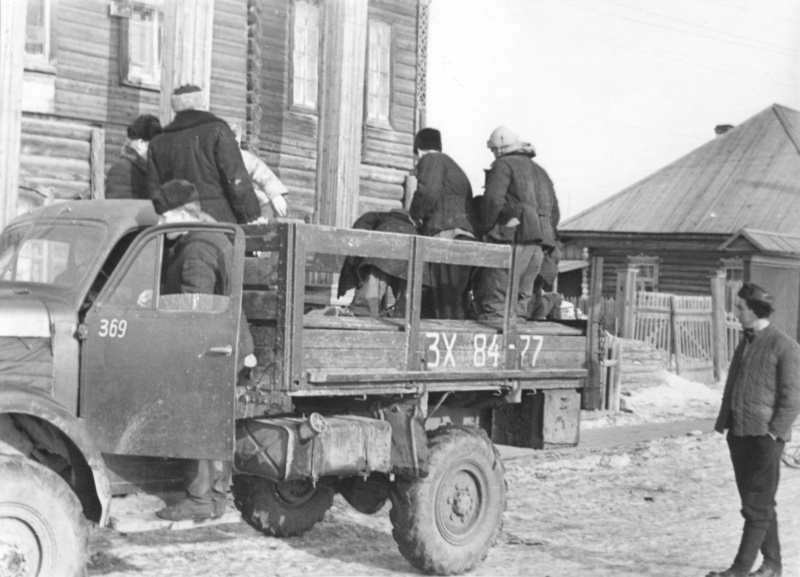 They were summoned to participate in the search operation. 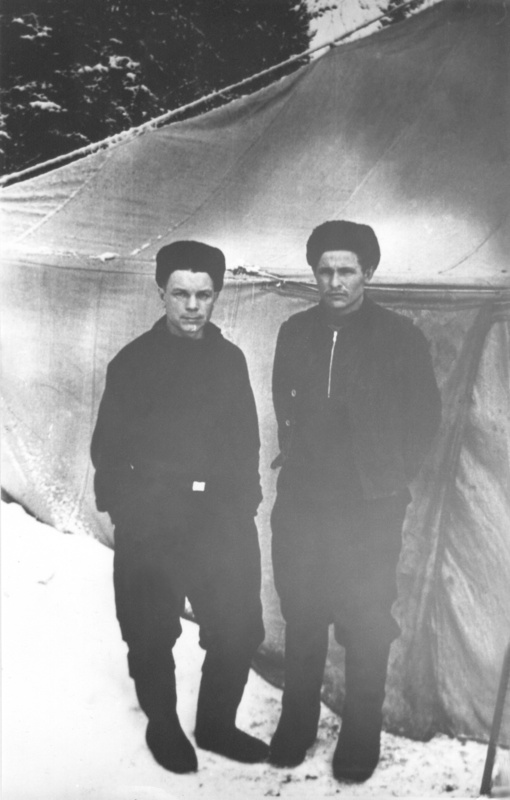 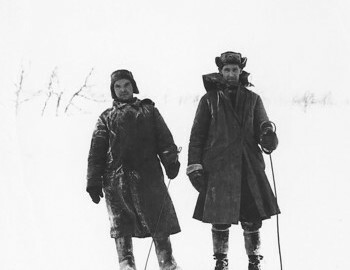 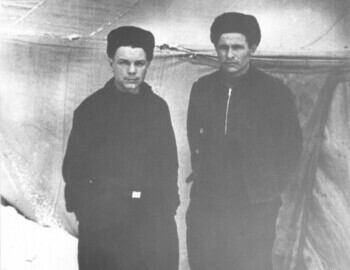 Two of the members, Goryachko and Granin, were in no shape to continue and were sent back to Sverdlovsk. 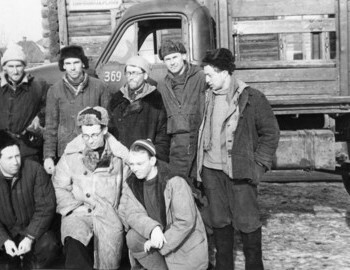 The other six members: Vladislav Karelin, Georgiy Atmanaki, Boris Borisov, Evgeniy Serdityh, Vladimir Skutin and Vladimir Shavkunov joined the rescuers in Ivdel by train same day at 11 pm. 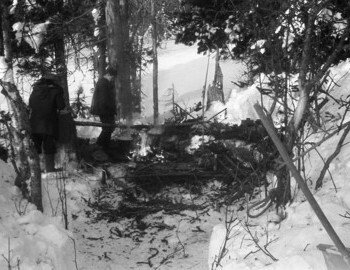 Next day 25 Feb Georgiy Atmanaki and Vladimir Skutin were on board of the plane that flew to survey a point of disembarkation for Akselrod group near peak Otorten. 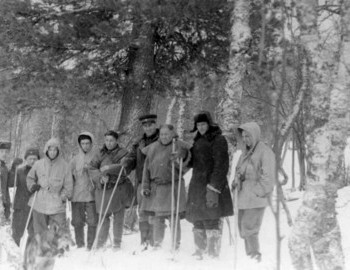 Alma Альма Specially trained rescue dog of the East European Shepherd breed. 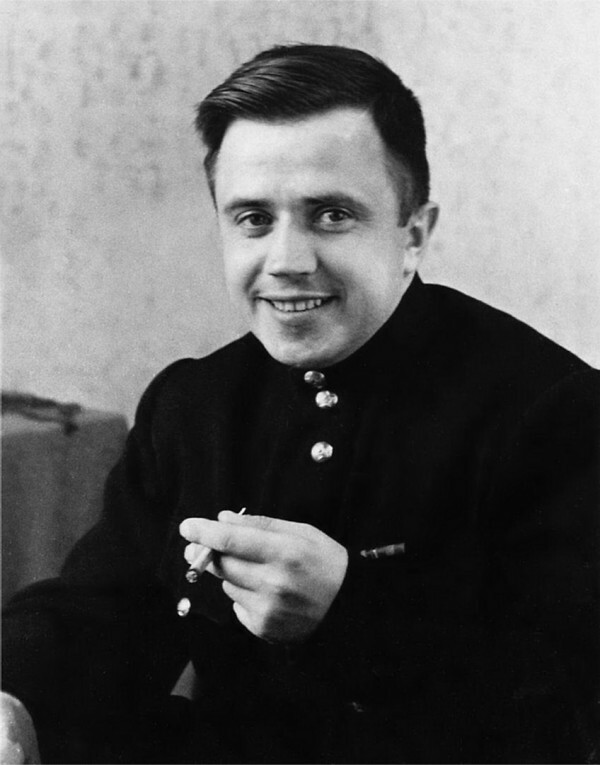 The military, led by Captain Chernyshev, took with him a specially trained dog. 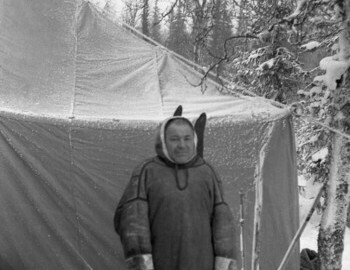 It was Alma who discovered the body of Zina Kolmogorova on February 26, 1959. 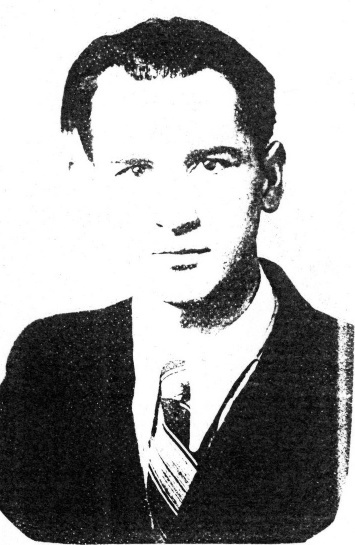 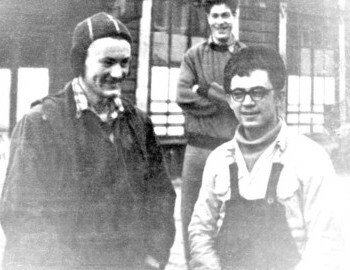 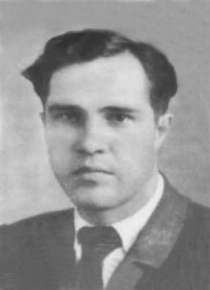 Bienko Vladislav Биенко Владислав UPI student, the Komsomol sent him to a logging camp. 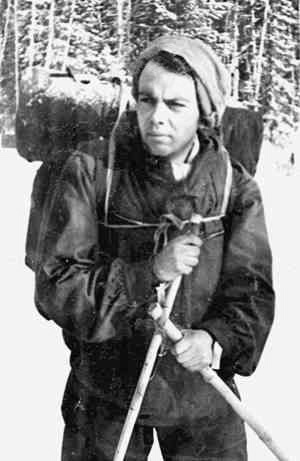 In UPI there were rumors circulating that he was not allowed to do the trek due to skipped exams. 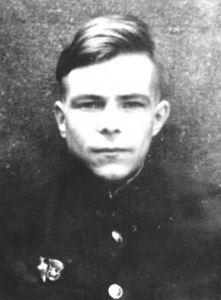 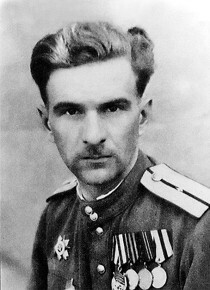 Zolotaryov took his place in Dyatlov group. 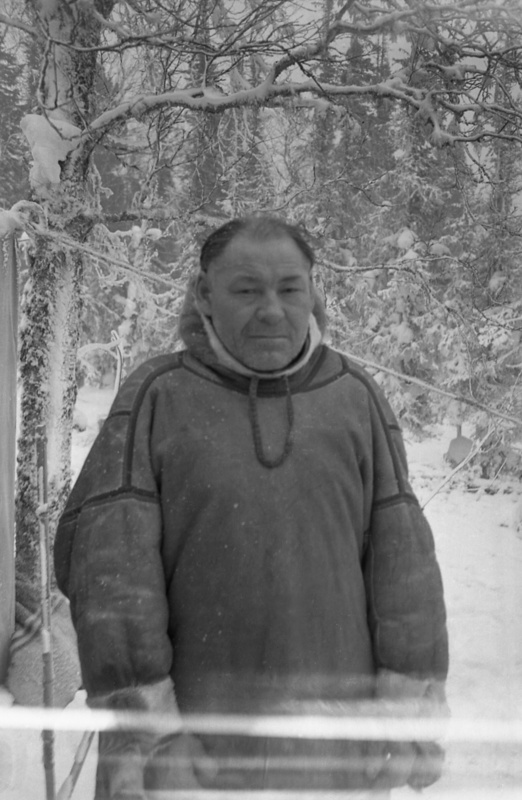 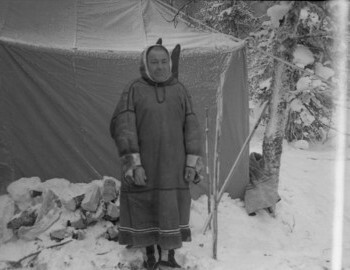 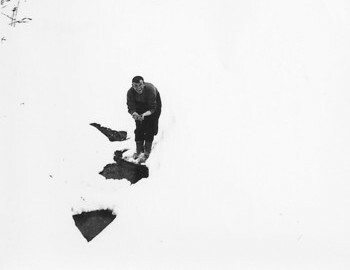 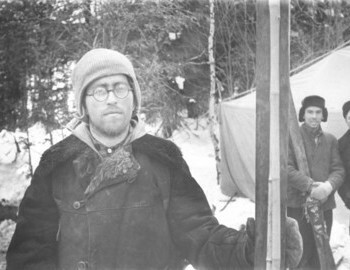 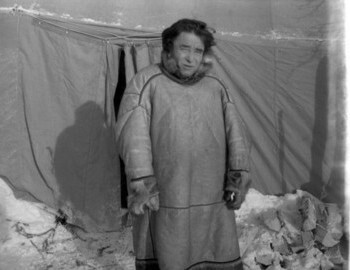 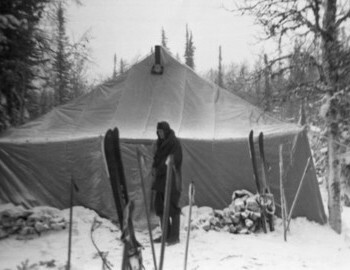 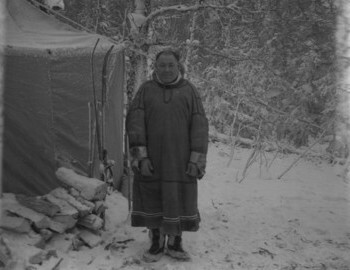 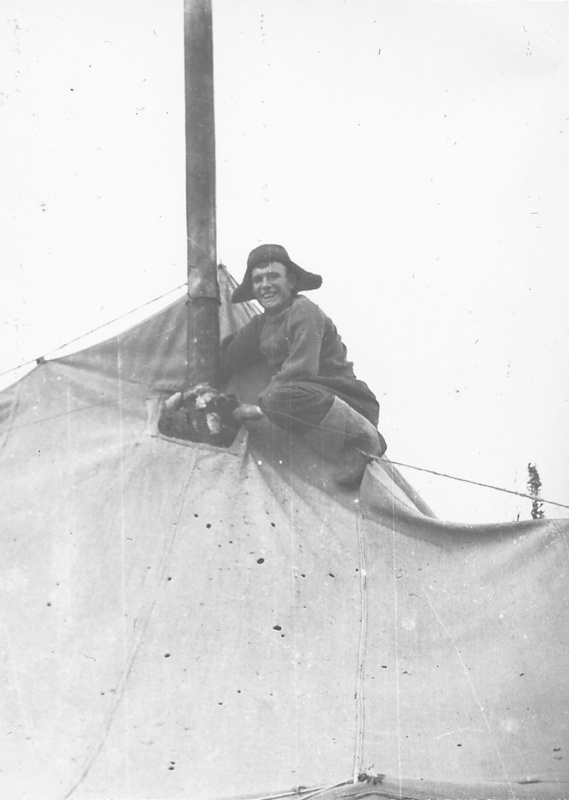 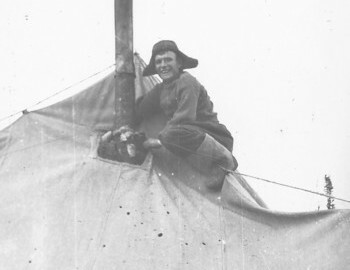 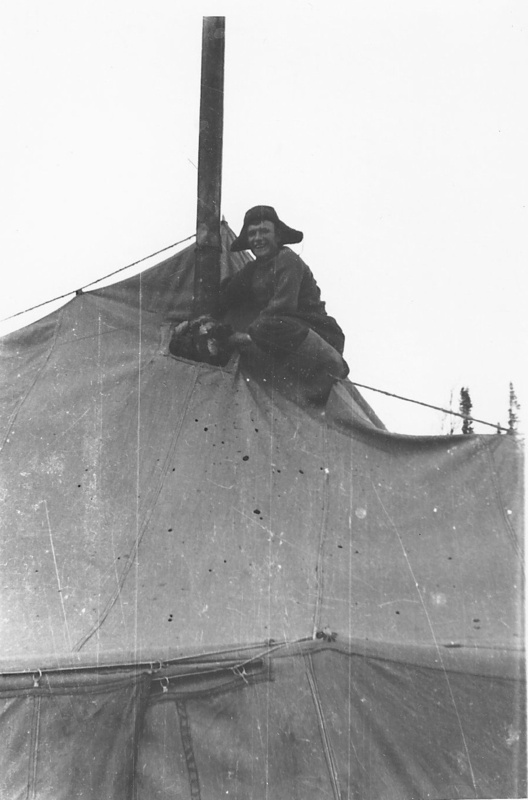 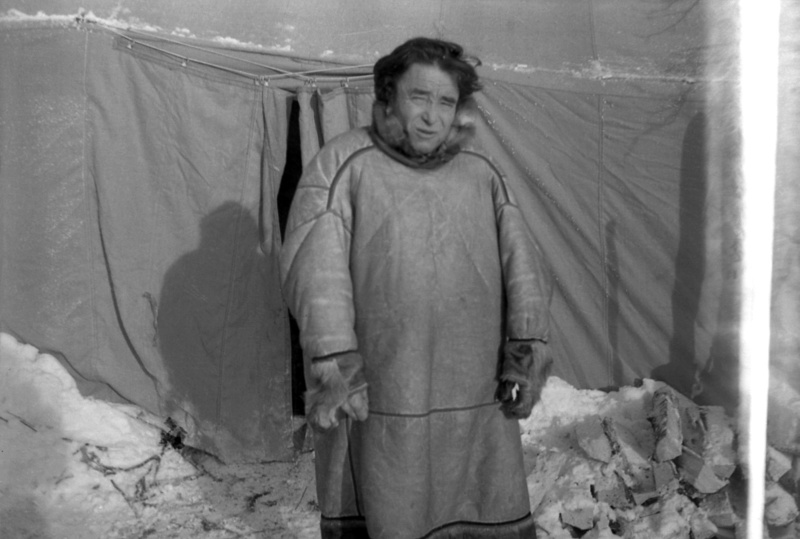 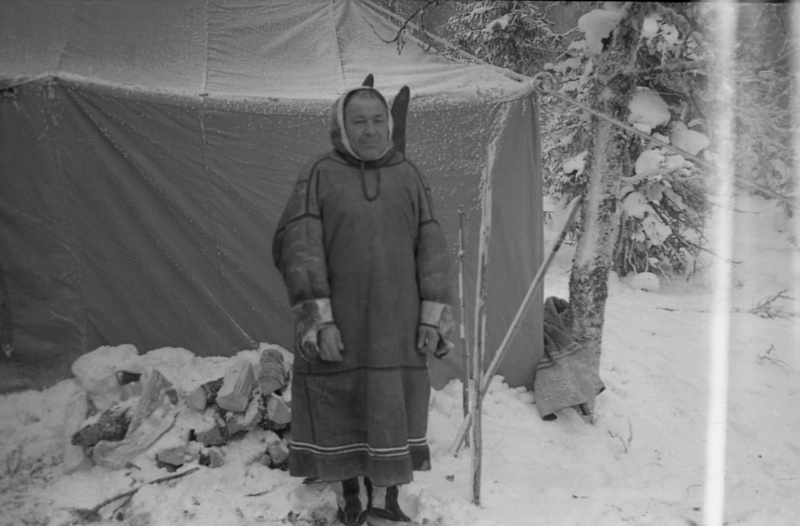 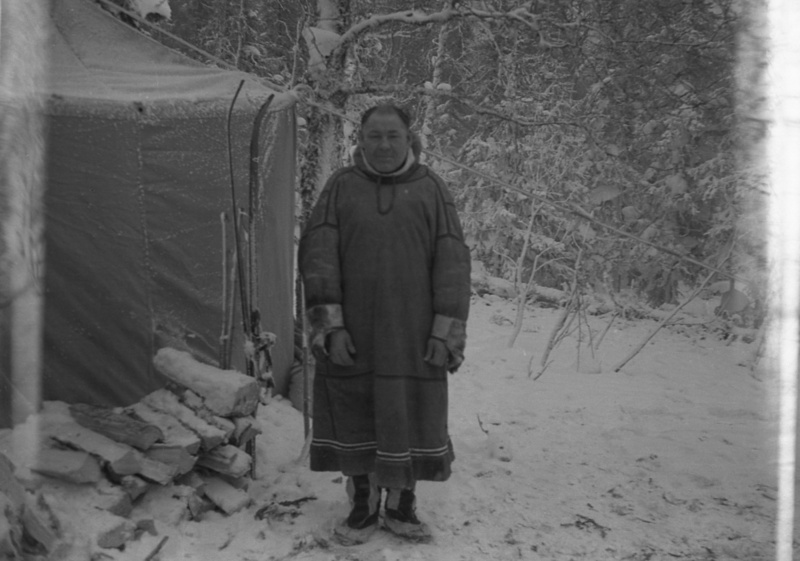 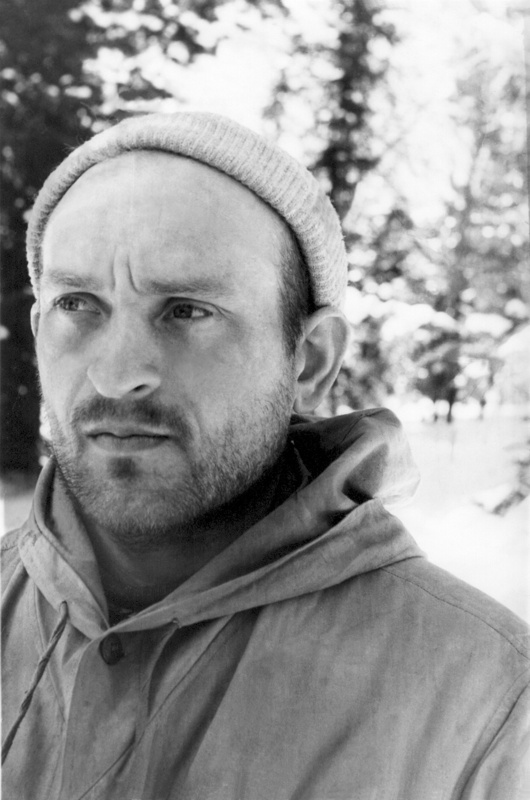 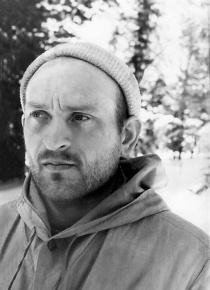 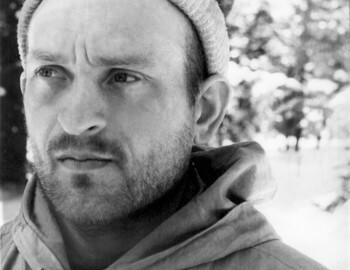 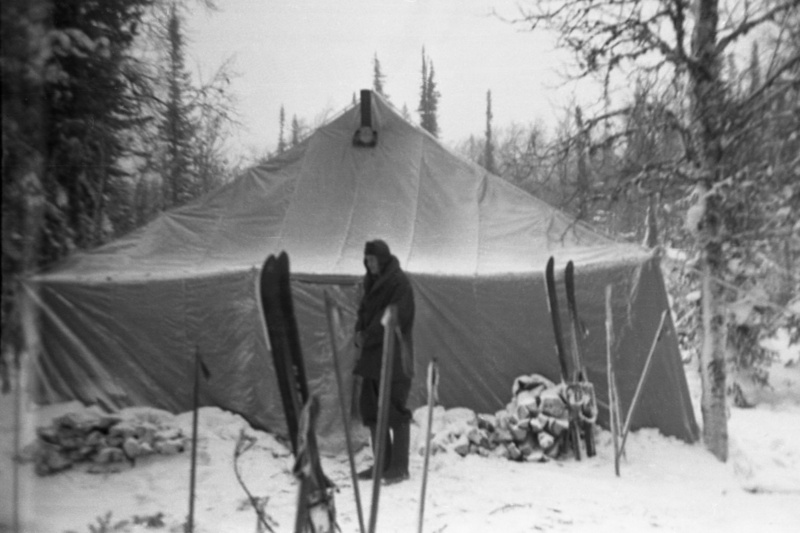 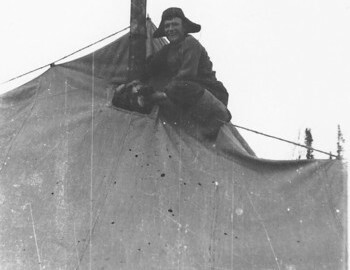 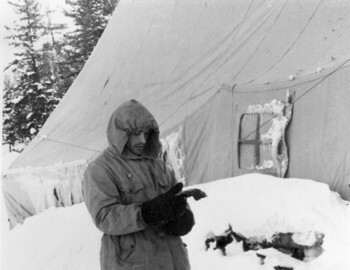 Lev Ivanov trusted Bienko to develop some of the films found in the tent. 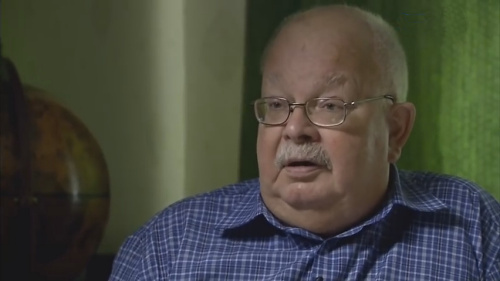 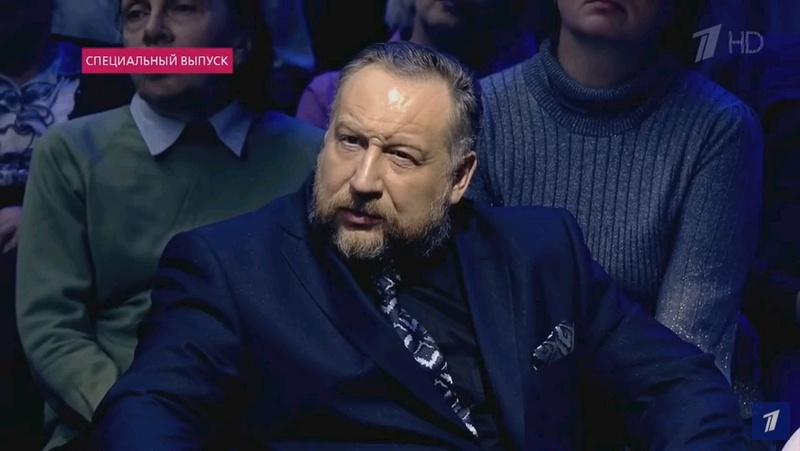 Chernobrov Чернобров The journalist who talked with Solter on the train and started the whole fuss about the bodies being 11. 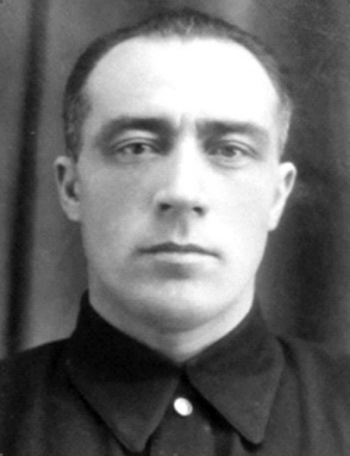 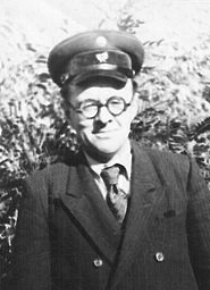 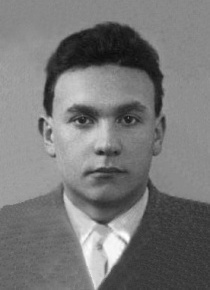 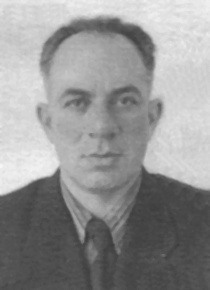 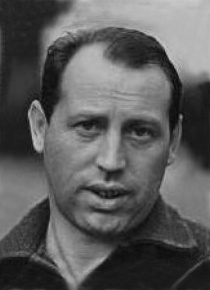 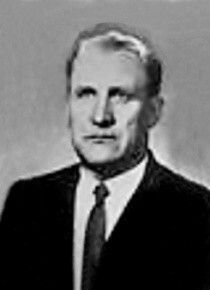 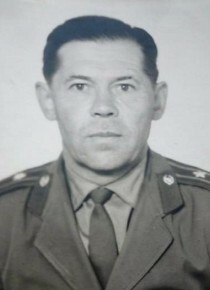 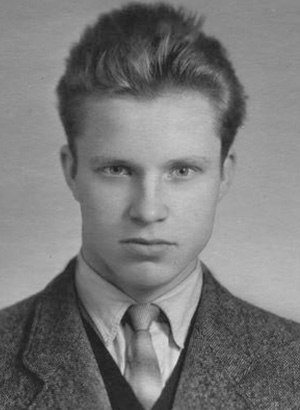 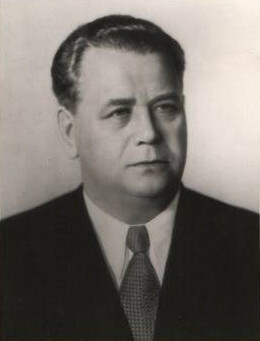 Ganz Georgiy Vladimirovich Ганц Георгий Владимирович (26.XII.1930 – 6.XI.1978) Forensic expert of the Sverdlovsk Regional Forensic Medical Bureau. 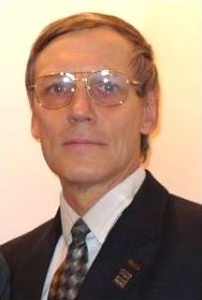 He signed the Histological analyses of the last four bodies. 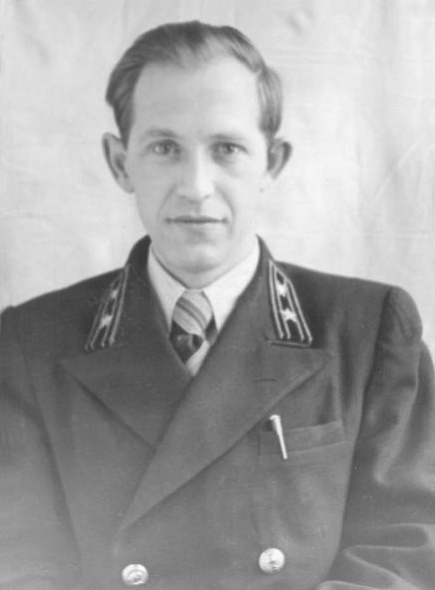 He kept post mortem photos thus breaching the declaration of nondisclosure. 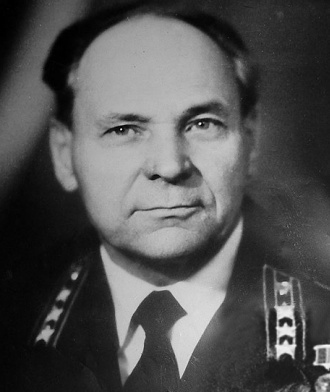 Gladyrev Petr Vasilyevich Гладырев Пётр Васильевич (20.VII.1922 - VI.1960) Commander of An-2, board number 55-84. 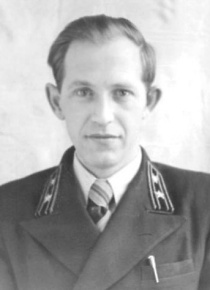 In his crew in this flight - the navigator Georgiy Karpushin, and the co-pilot Gennadiy Patrushev. 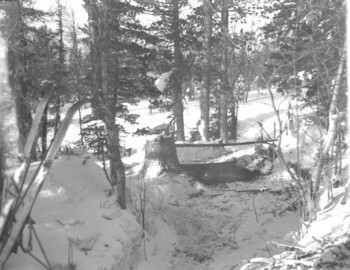 Crashed in nearby Ivdel with Mi 4 helicopter due to a faulty lead screw. 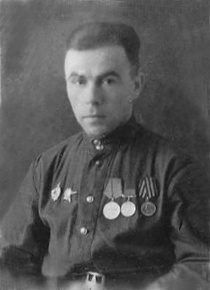 Levashov Vladimir I. Левашов Владимир И. 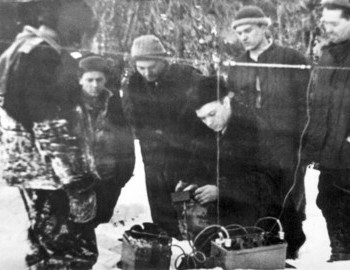 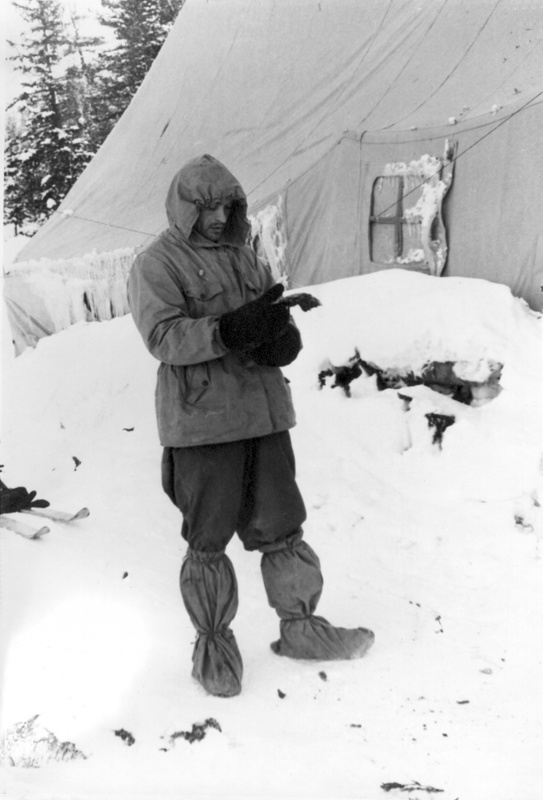 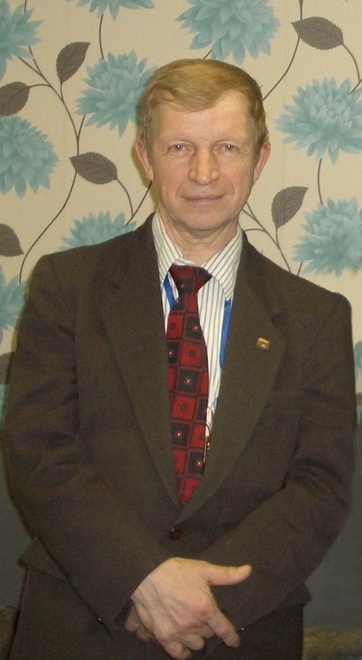 Main radiologist of Sverdlovsk who conducted the radioactive examination of the hikers clothing. 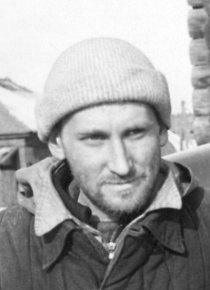 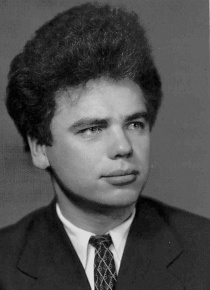 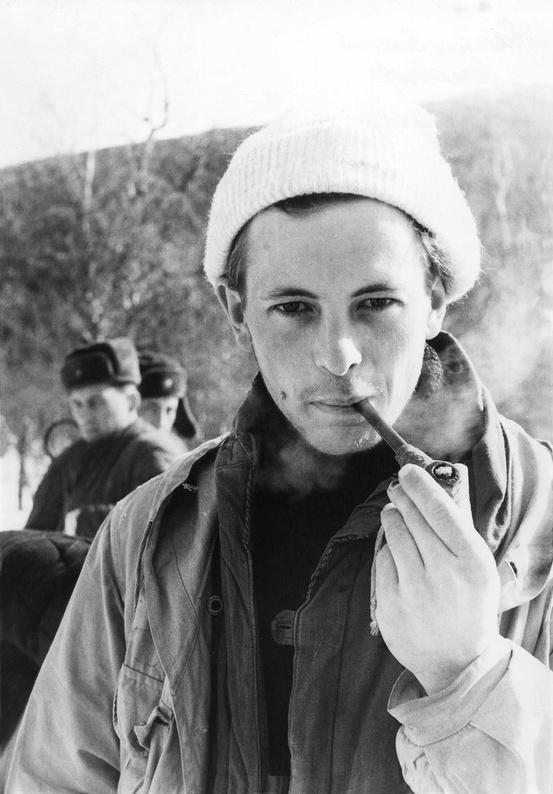 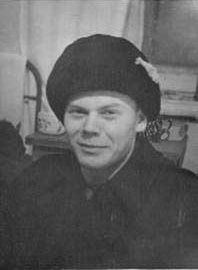 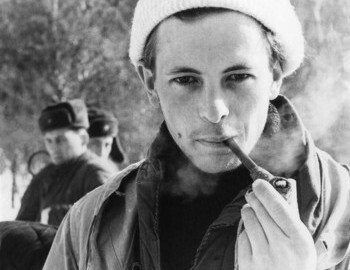 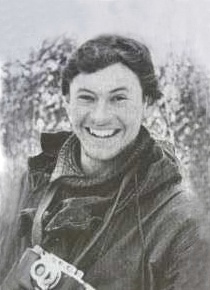 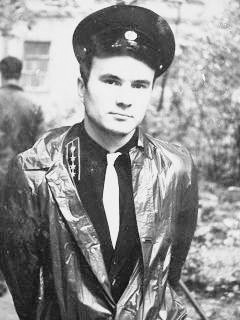 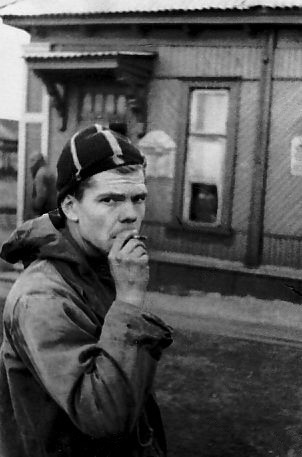 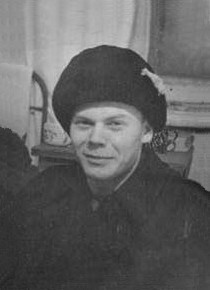 Martyushev Boris Vladimirovich Мартюшев Борис Владимирович UPI student, leader of a rescue group 6-Apr-1959. 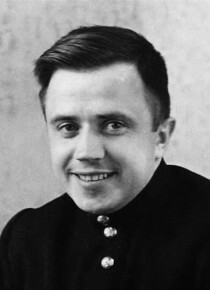 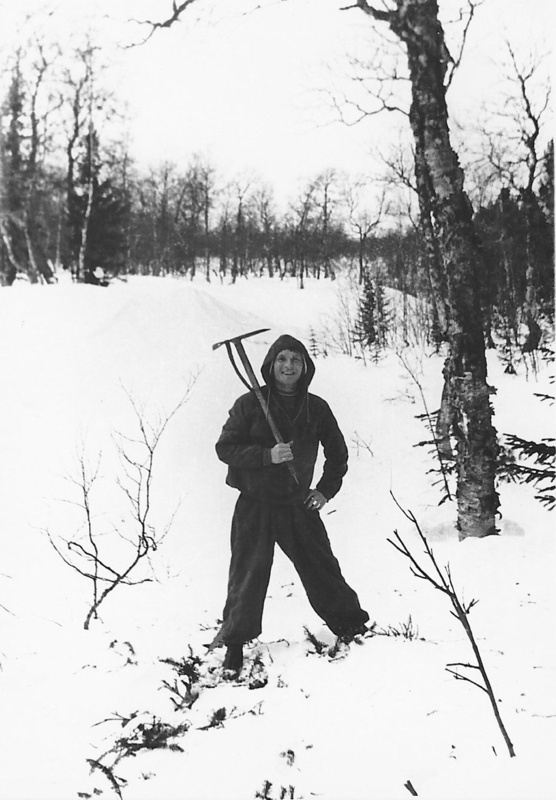 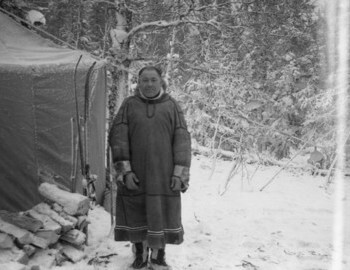 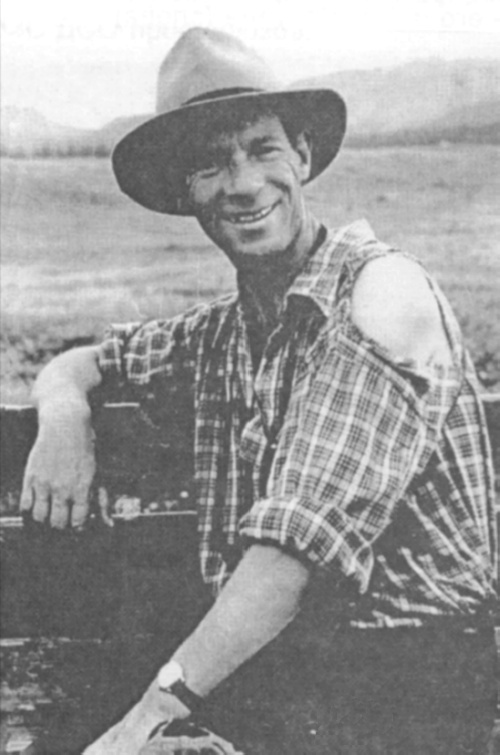 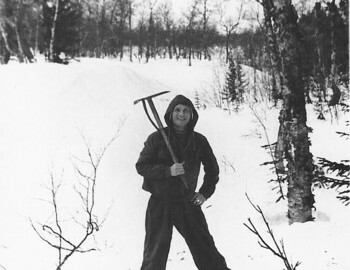 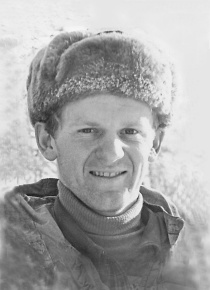 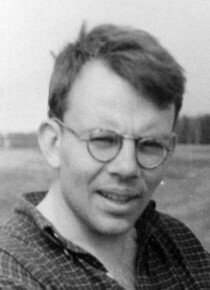 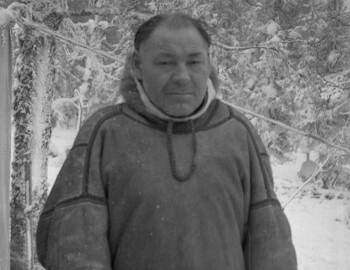 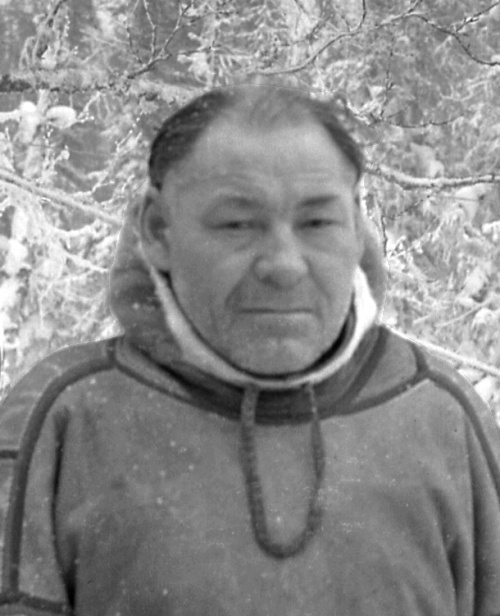 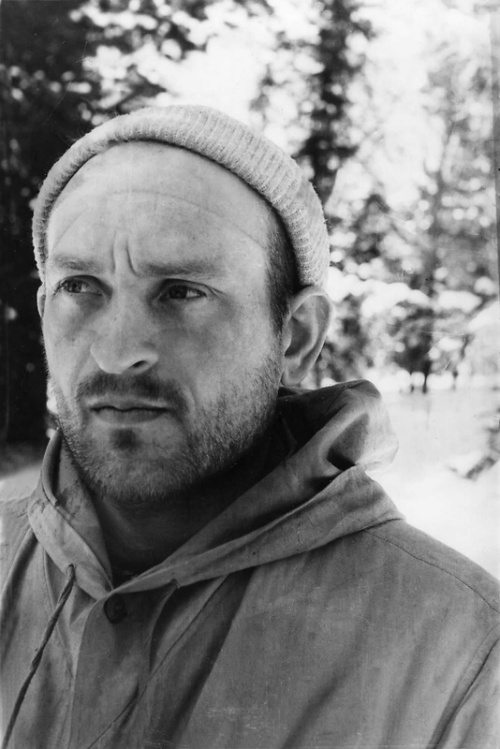 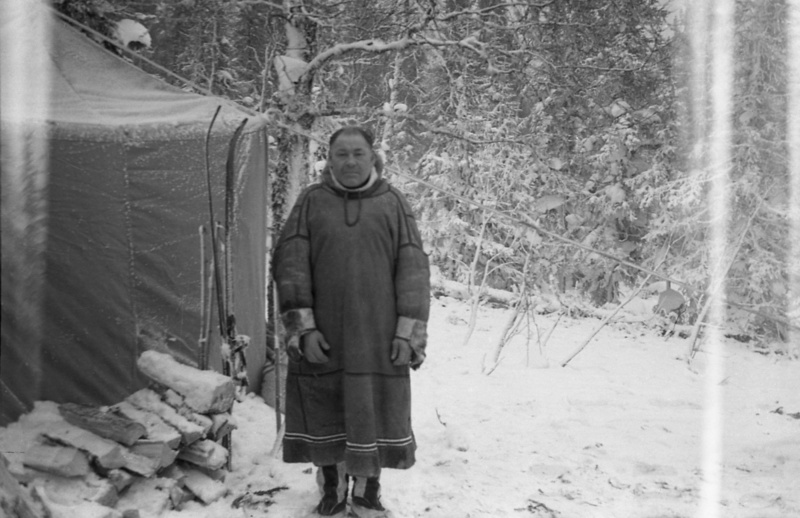 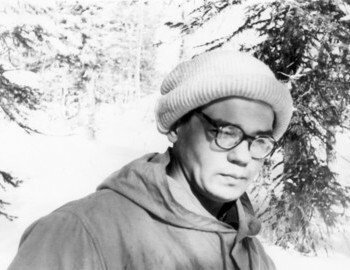 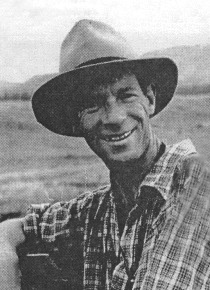 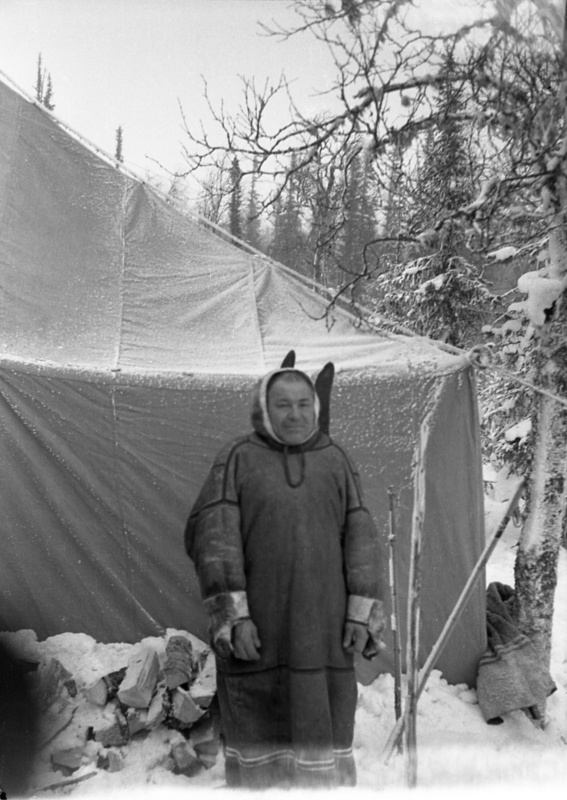 (1938–1969) Pioneer of the Urals Alps. Died in Dalar, West Caucasus during route 4A difficulty. 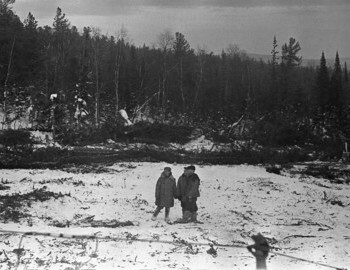 Buried in Kamensk-Urals. 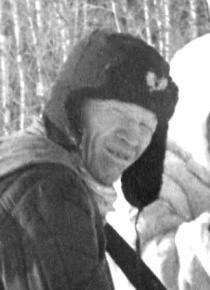 Rikshin Vladimir Рыкшин Владимир Modern times president of the "Extreme" Association, who together with professional hunter Nikolay Lednev have a theory about the strange panic inducing metal objects in the area that make you run and leave you with the feeling that something or somebody is watching your back as you leave. 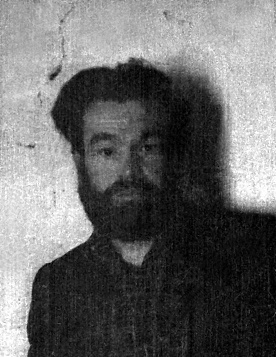 Venediktov Evgeniy Petrovich (The Beard) Венедиктов Евгений Петрович (Борода) Logger at 41st district where Dyatlov group arrived on 26-Jan-1959. 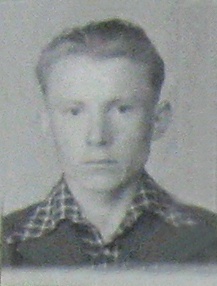 He was noted for his intelligence and ginger hair and beard hence the nickname. 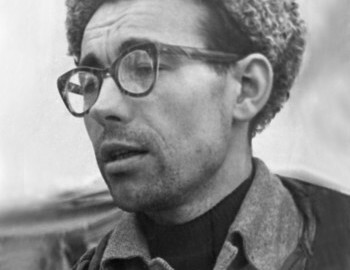 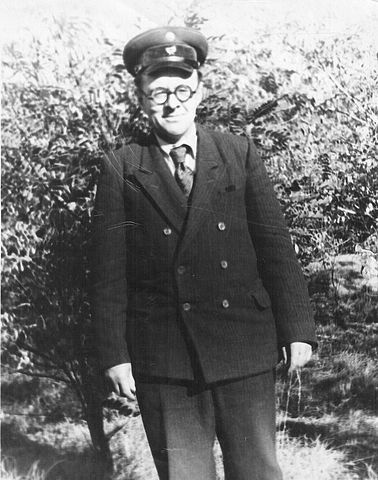 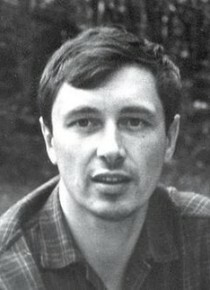 Yarovoy Yuri Evgenievich (Kosobryuhov) Яровой Юрий Евгеньевич (Кособрюхов) (1932-1980) Мember of the search 1959, correspondent of the newspaper "Na smenu!" 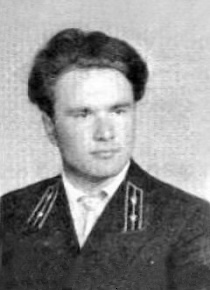 at the time of the tragedy, author of the book "The highest category of difficulty"
Zinovyev Evgeniy Grigorievich Зиновьев Евгений Григорьевич UPI student, member of Martyushev rescue group 6-Apr-1959, member of Blinov’s hiking and later rescue group whom Lyuda mentioned in her diary, author of "Tracks in the Snow"